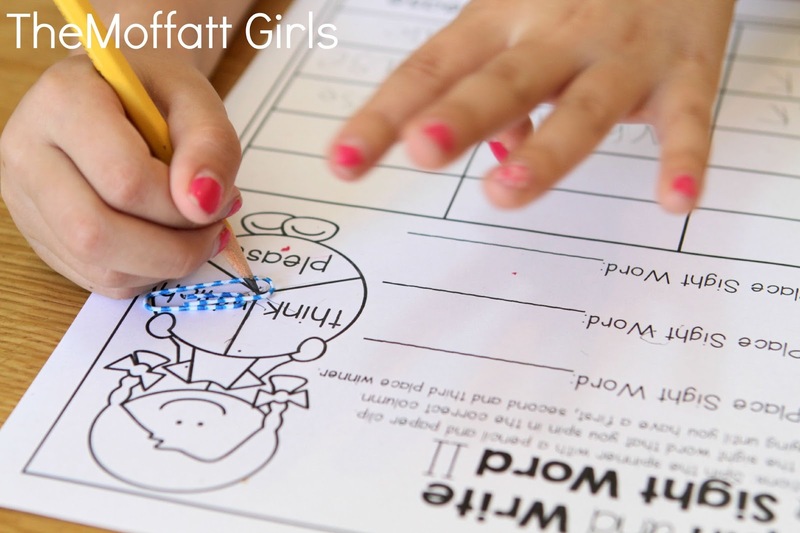 October is here and we are gearing up for some fun, hands-on and engaging learning! The activities in this packet will cover number sense, the alphabet, shapes and more! *Pets: Where do they live? Cut and paste the upper and lowercase letters to the correct window. 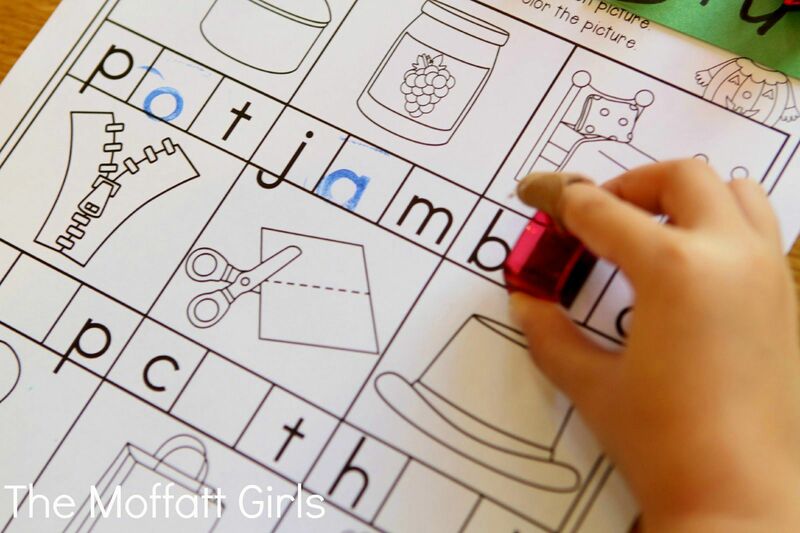 The various fonts help students learn to recognize letters in a variety of printed and published styles. 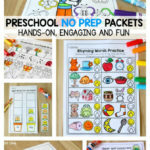 Perfect for cutting practice, building fine motor skills and match up pictures. Helps with proper letter formation of both upper and lowercase letters. 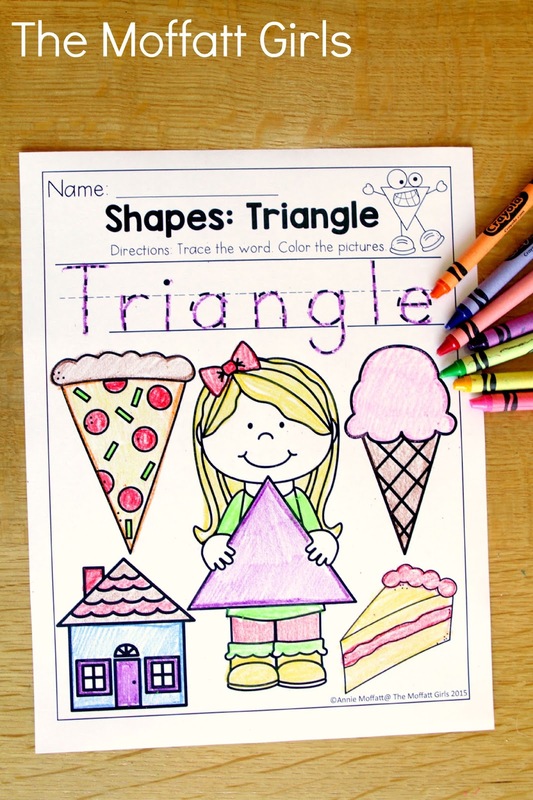 Trace the shape, the word and the letters. 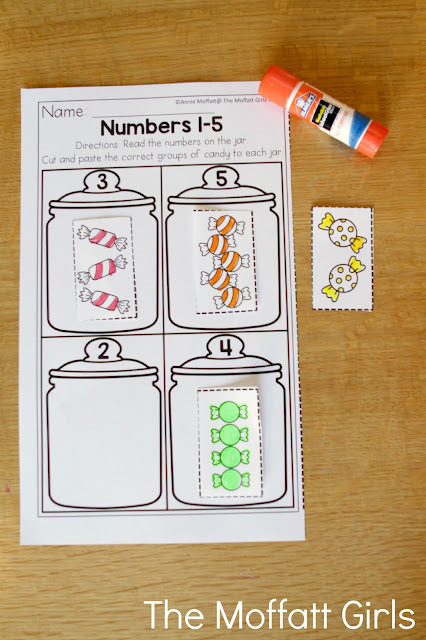 Great for color recognition, number identification and building fine motor skills. 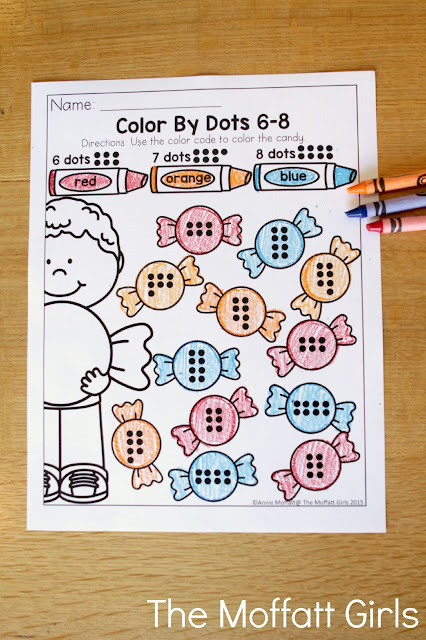 Students can color the correct number of candies and cross of the extras. Cut and paste the candies to the correct jar. Great for counting, number identification and cutting practice. 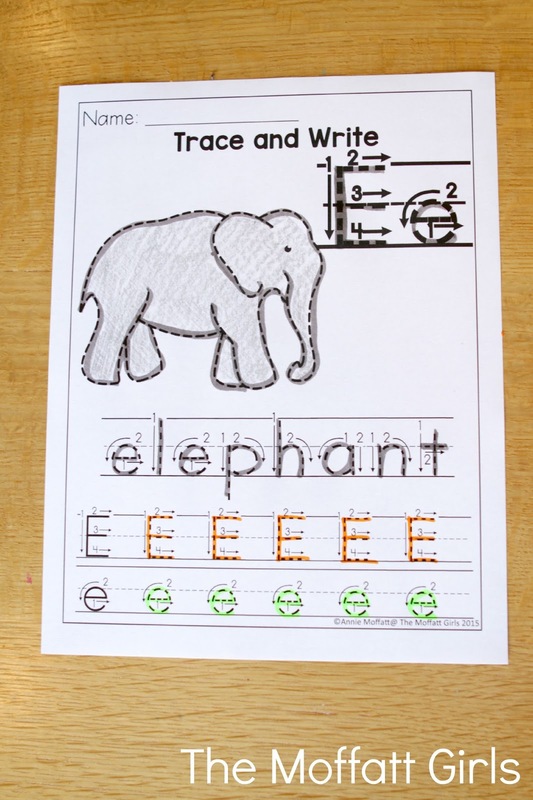 This simple pages is perfect for practice two sight words and color words. 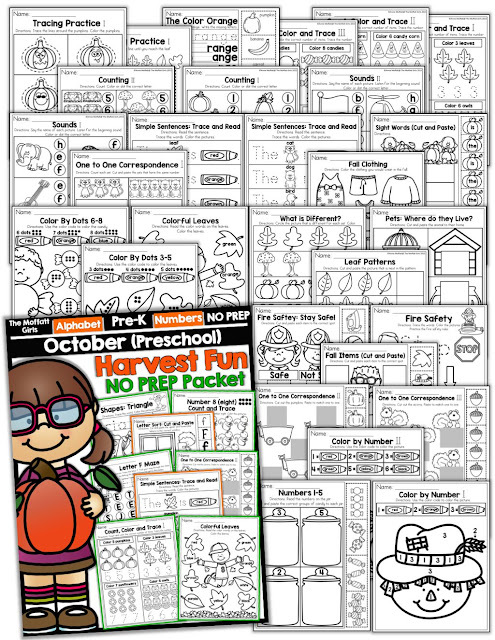 *Rhyming Pumpkins (short a) – Color the pumpkins that rhyme in each set. 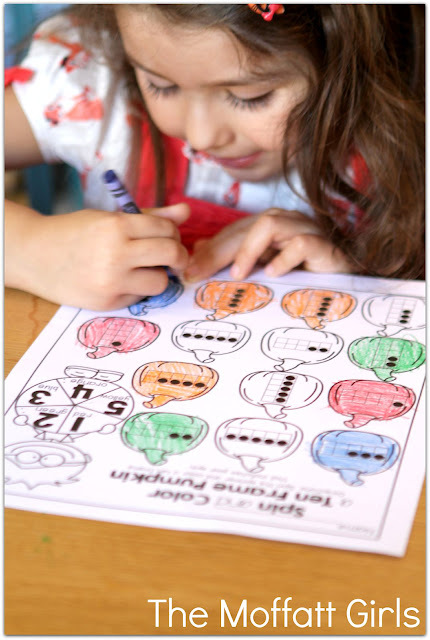 *Rhyming Pumpkins (short e) – Color the pumpkins that rhyme in each set. 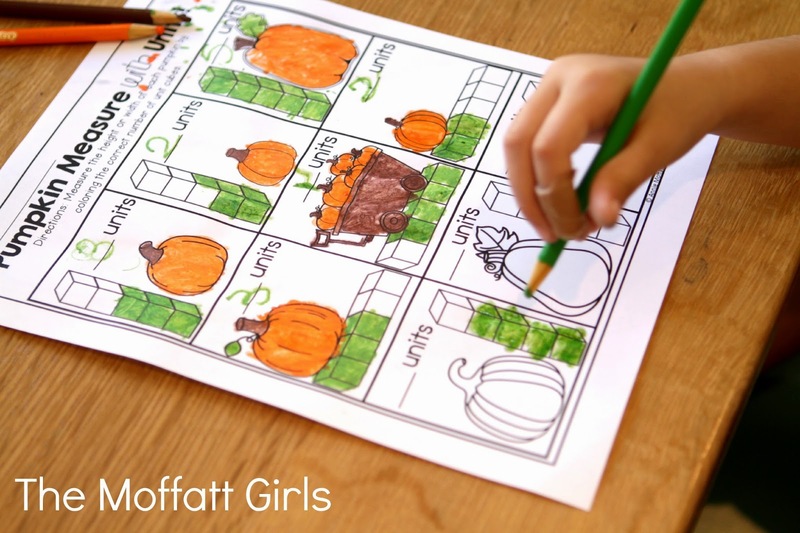 *Rhyming Pumpkins (short i) – Color the pumpkins that rhyme in each set. 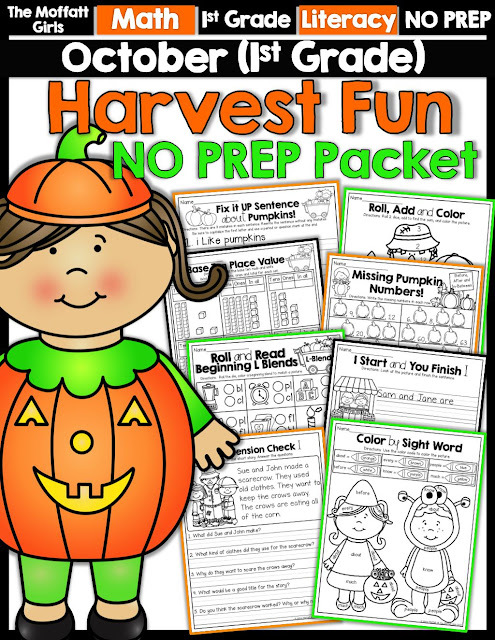 *Rhyming Pumpkins (short o) – Color the pumpkins that rhyme in each set. *Rhyming Pumpkins (short u) – Color the pumpkins that rhyme in each set. 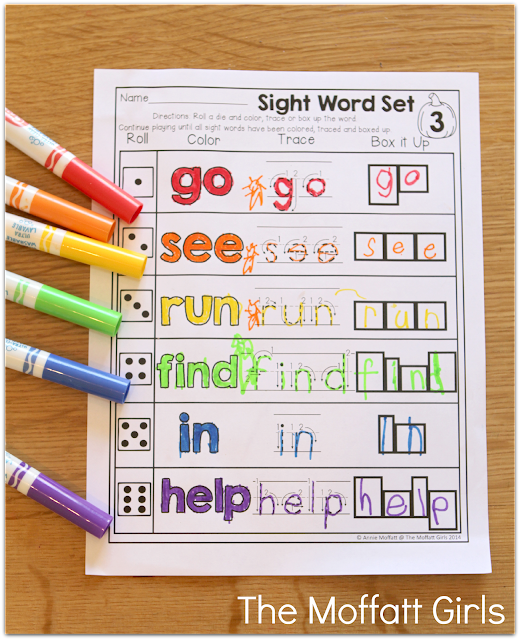 *Sight Word Set 1 – Roll a die and color, trace and Box up a sight word. Sight Words: like, can, my, not, we. *Sight Word Set 2 – Roll a die and color, trace and Box up a sight word. 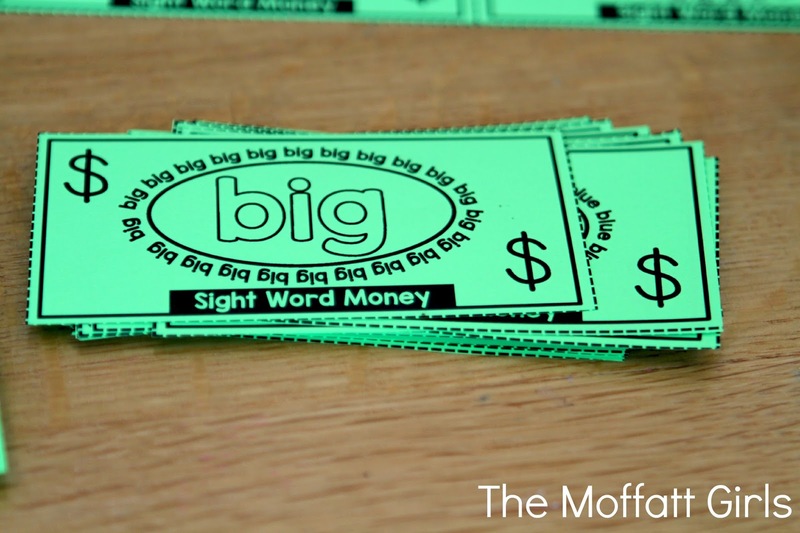 Sight Words: and, big, for, look, you, play. 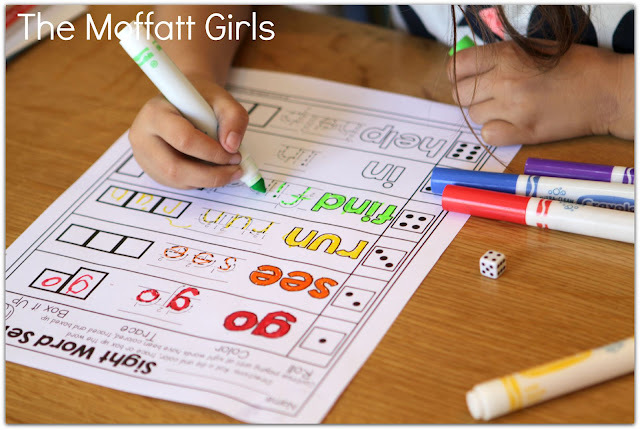 *Sight Word Set 3 – Roll a die and color, trace and Box up a sight word. Sight Words: go, see, run, find, in, help. *Beginning Sounds- Say the name of each picture and write the beginning sound. *Missing Vowel Sounds- Say the name of each picture and write the middle sound. *Ending Sounds- Say the name of each picture and write the ending sound. *Short a (-at words) Word Family House- Say the name of the picture in the -at family, write the word and read the simple sentence. *Short e (-at words) Word Family House- Say the name of the picture in the -et family, write the word and read the simple sentence. *Short i (-ig words) Word Family House- Say the name of the picture in the -ig family, write the word and read the simple sentence. 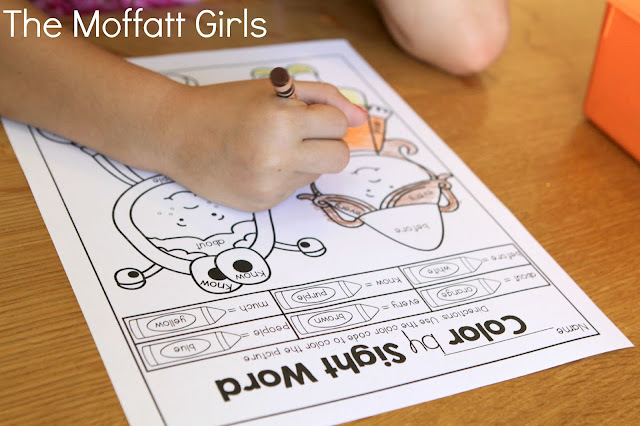 *Short o (-ot words) Word Family House- Say the name of the picture in the -ot family, write the word and read the simple sentence. *Short u (-ug words) Word Family House- Say the name of the picture in the -ug family, write the word and read the simple sentence. 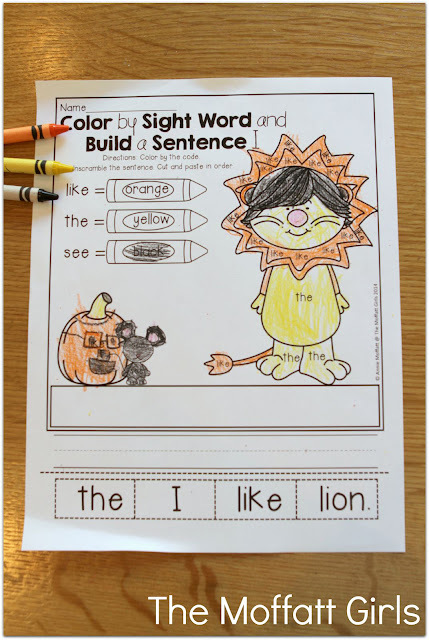 *Color by Sight Word AND Build a Sight Word Sentence I – Use the color code to color the pictures with the sight words: like, the, see. 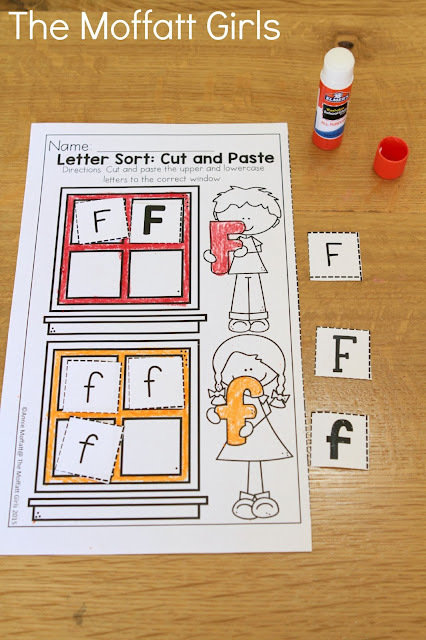 Cut, unscramble, paste and write a simple sentence. 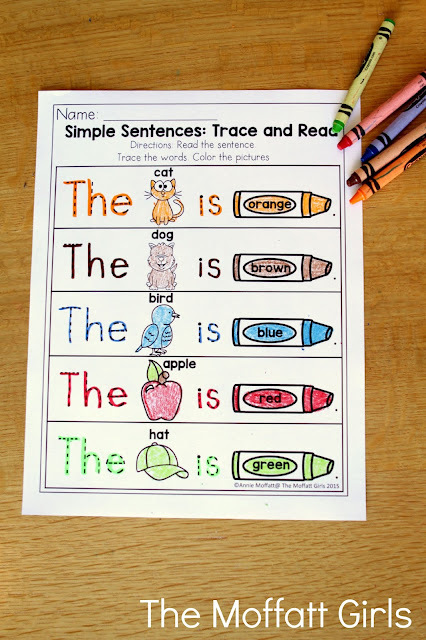 *Color by Sight Word AND Build a Sight Word Sentence II – Use the color code to color the pictures with the sight words: little, you, are. 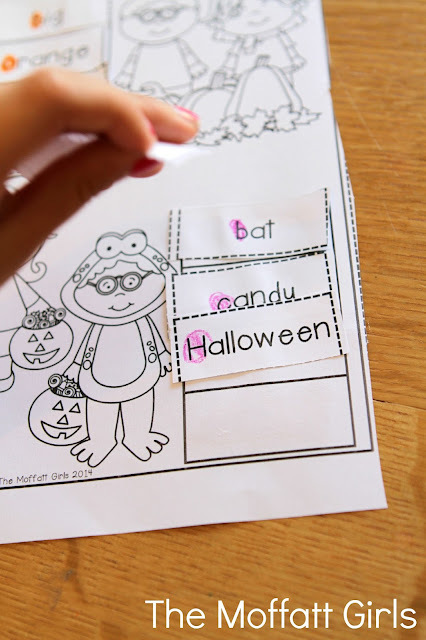 Cut, unscramble, paste and write a simple sentence. *Color by Sight Word AND Build a Sight Word Sentence III – Use the color code to color the pictures with the sight words: here, is, big. Cut, unscramble, paste and write a simple sentence. 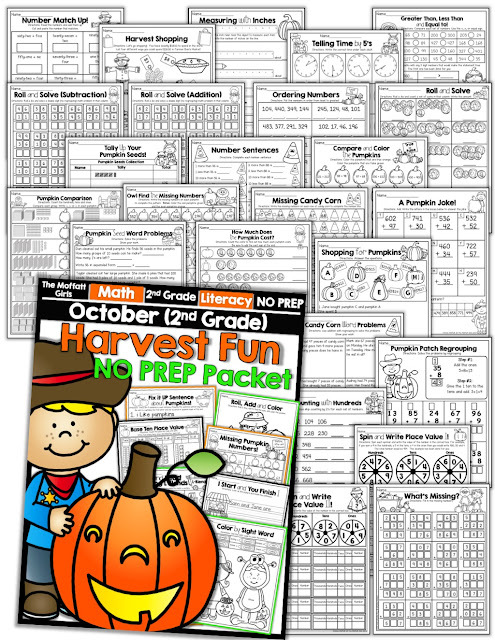 *Word Family Pumpkins (-at and -an) – Cut and paste the pumpkins onto the correct wagon. 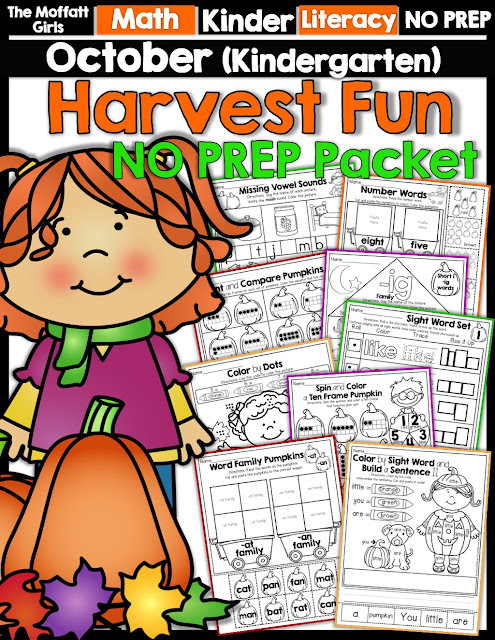 *Word Family Pumpkins (-ed and -et) – Cut and paste the pumpkins onto the correct wagon. 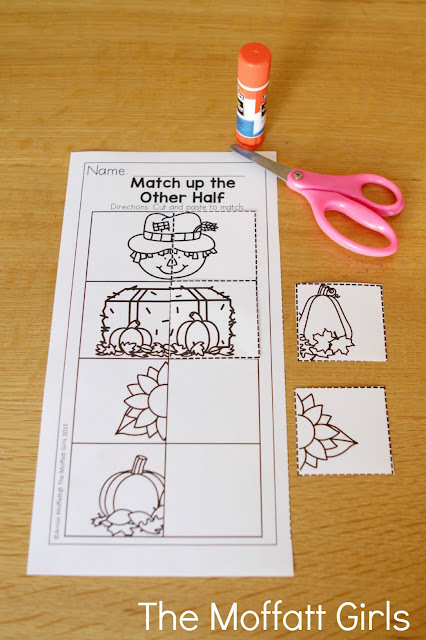 *Word Family Pumpkins (-ig and -it) – Cut and paste the pumpkins onto the correct wagon. *Word Family Pumpkins (-og and -ot) – Cut and paste the pumpkins onto the correct wagon. 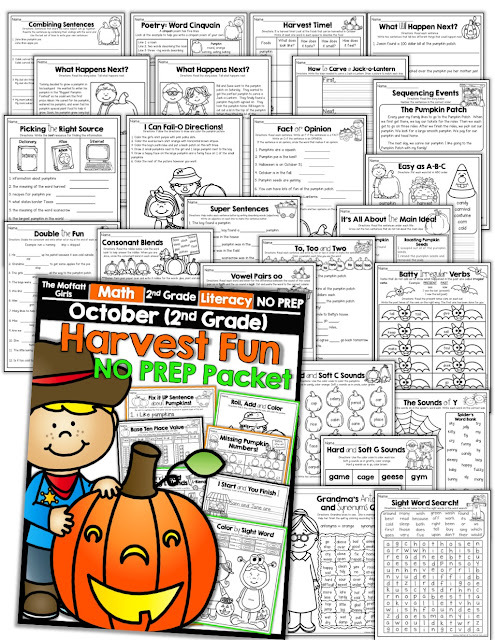 *Word Family Pumpkins (-ug and -un) – Cut and paste the pumpkins onto the correct wagon. 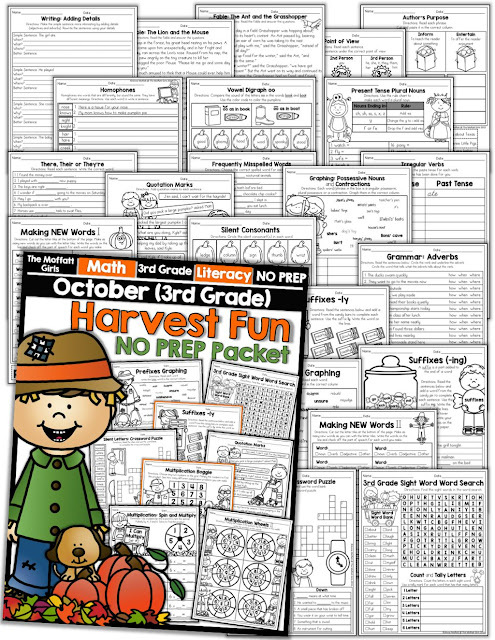 *October Calendar – Trace the number and date, write the missing numbers on the calendar, and answer the questions about the month of October. *Ten Frame Puzzle – Look at the ten frames on the puzzle and put them in order from one to ten! 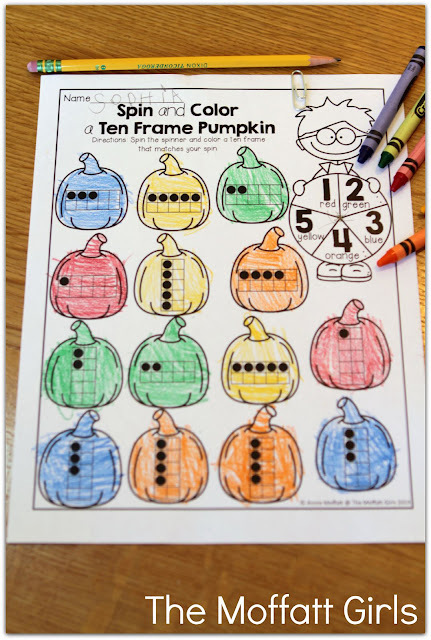 *Spin and Color a Ten Frame Pumpkin – Spin the spinner and color a ten frame (using the color code) that has matches your spin. *What Comes Next? Cut and paste the number that come next. *Ten Frame Pumpkin Patch – Count and draw the number of pumpkins needed to make ten on the ten frame. Finish the equation. *Let’s Count Pumpkin Seeds – Count the dots on each pumpkin. Cut and paste the number next to the pumpkin. 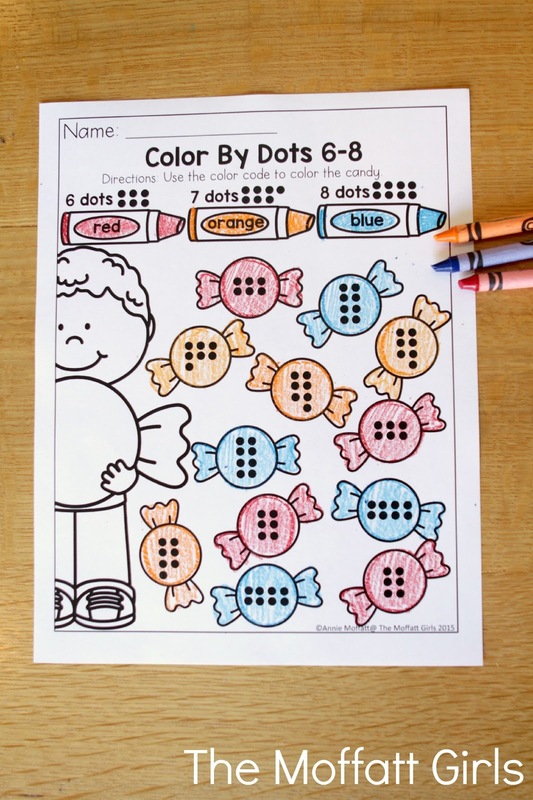 *Color by Dots- Count the dots and use the color code to color the picture. (numbers 5, 6, 7, and 8). 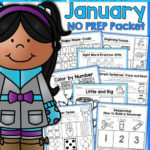 *Color by Number Word – Use the color code to color the picture using number words one through five. 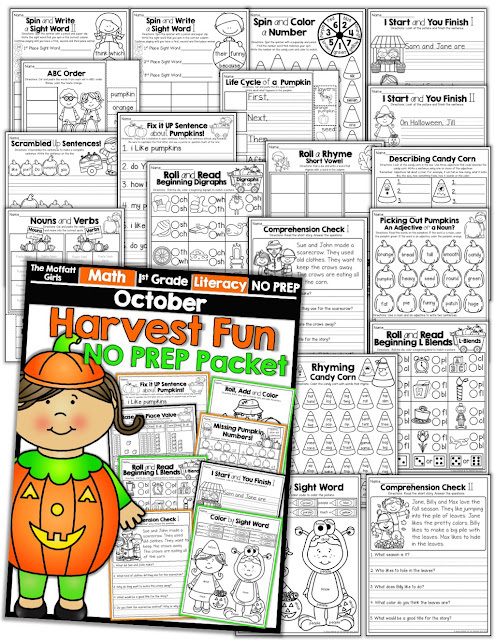 *Counting Candy Corn – Count each set of candy corn up to 20, write the number and color a set of 10. *Tally up your Candy Corn – Cut and paste the candy corn that match the tally marks. *Domino Addition – Count the dots on the dominos and write the equation. Color the pumpkin that matches the sum. *Costume Syllables – Count the syllables in each word and color a pumpkin to match. *Decomposing Pumpkins – Use two different colors to color the pumpkins and show 5 different ways to make 5. 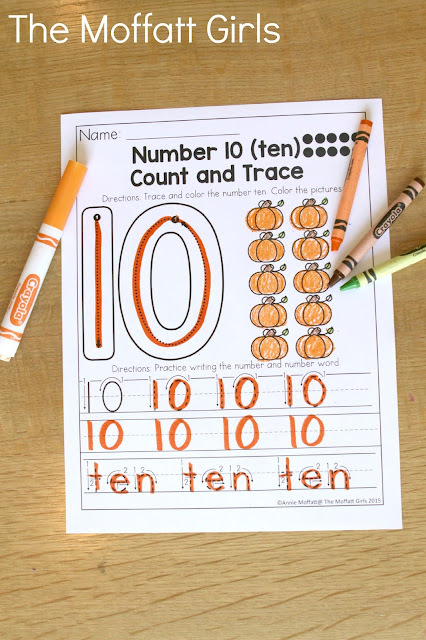 *Count and Compare Pumpkins -Count the ten frames on each set of pumpkins. Color the pumpkin that has more. 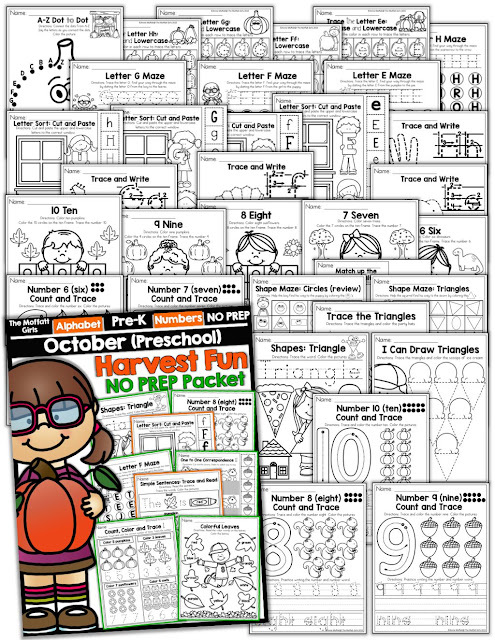 *Tally Mark Puzzle – Count the tally marks in each box. Cut and paste the puzzle piece with the matching number. 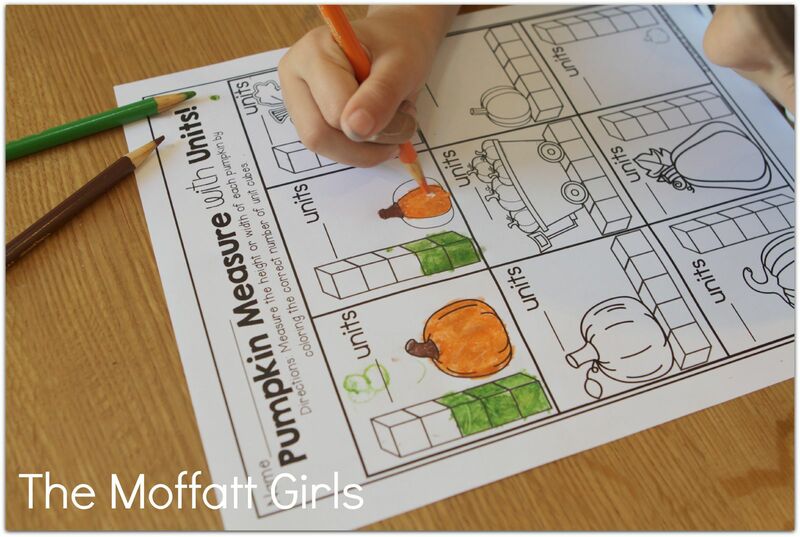 *Pumpkin Measurement with Units – Measure the height or width of each pumpkin by coloring in the number of unit cubes. This is our Sight Word Set where you roll a die, color, trace or box up a sight word! We used rainbows colors with our markers! 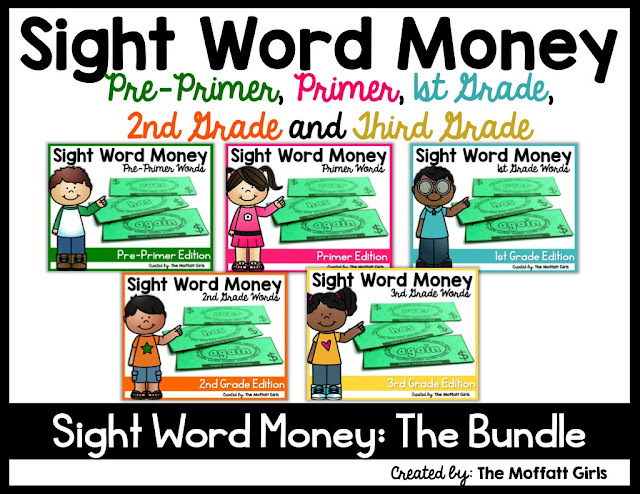 So much in one page and she hardly realized that she practices 6 different sight words in 3 ways! 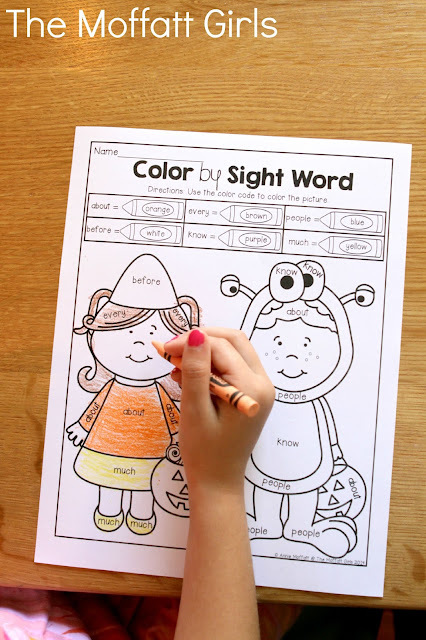 Kids love to color and Color by Sight Word is a GREAT way to color and practice reading sight words! 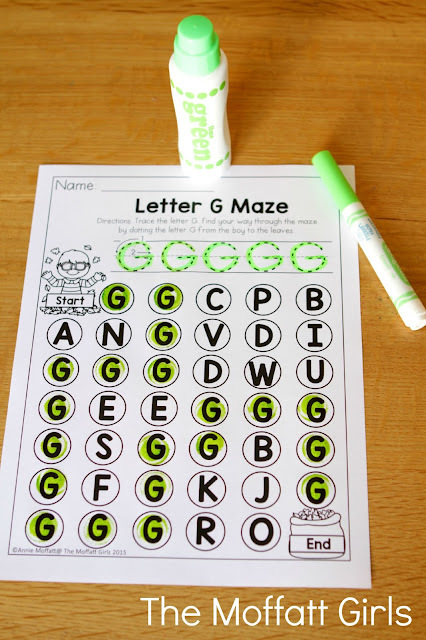 At the bottom you unscramble the sentence and practice copying it! On our middle vowel sound page we used some stamps! This was a great way to make in even more interactive and effective. I made sure to put only the vowel sounds out so she could access them easily and quickly. This was a great way to explore simple non-standard measurement with height and width. 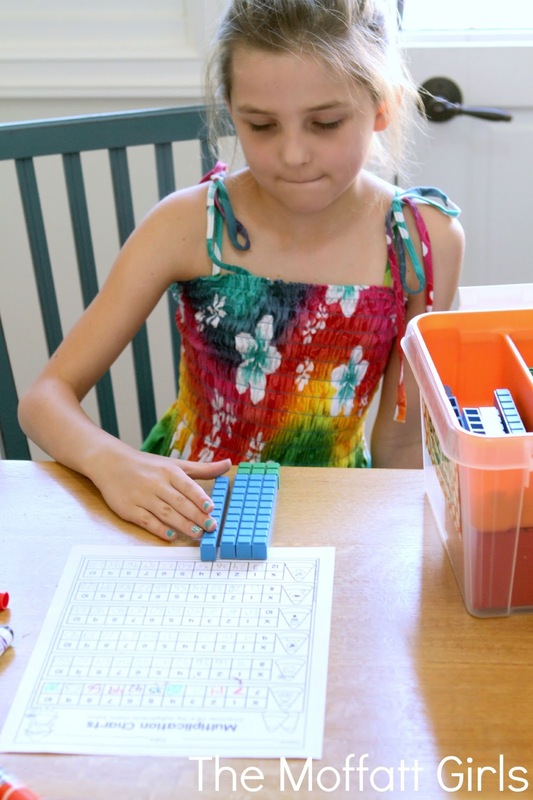 I love that she really took her time on this activity and FULLY understood simple measurement! This Spin and Color a Ten Frame was a FAVORITE! 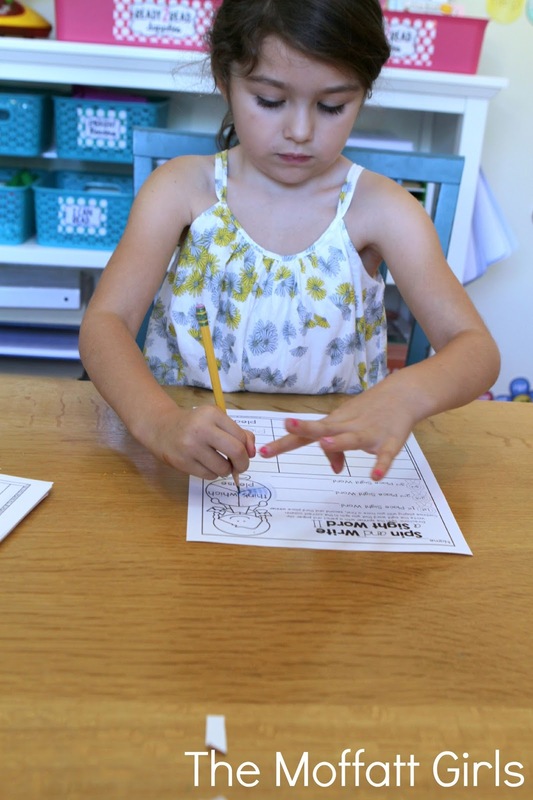 I wasn’t sure if this Kindergartener would be able to use the paperclip spinner, but I was wrong! She caught on very quickly and did very well! The goal was to spin the spinner, find the matching ten frame and color according to the code. 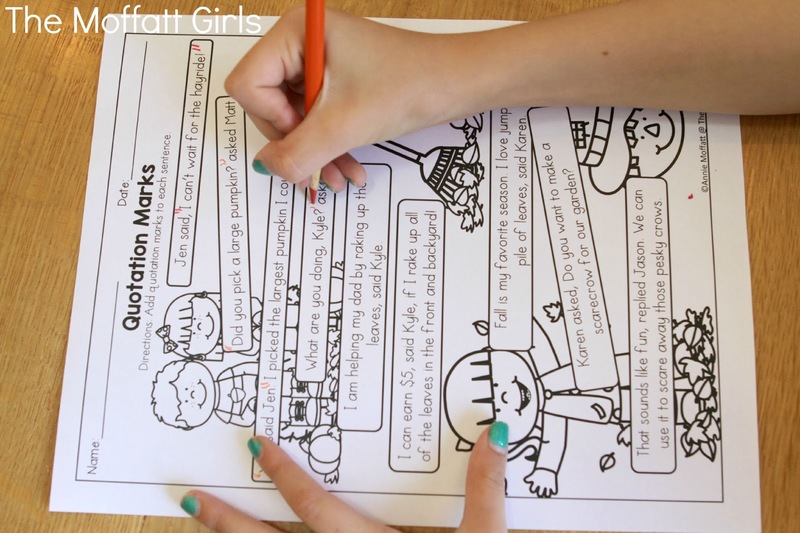 Again, so many different concepts wrapped up in one interactive printable! 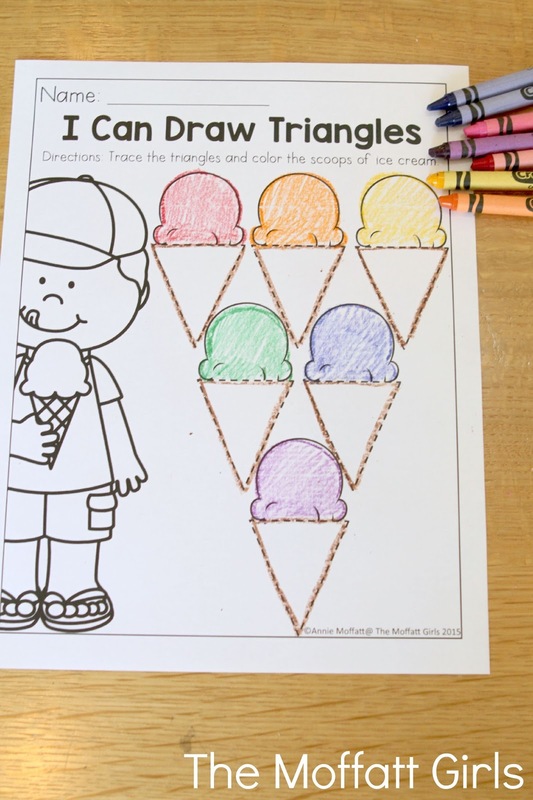 Ten Frames colored and concept mastered! We also worked on some simple Word Family Houses! Here is the -ug family in action. Say the name of the picture, write the -ug word family and read a simple sentence with cvc words, sight words and color words. I like the brown mug. I like the blue rug. This little Moffatt Girls is super excited about 1st Grade and is eager to learn! 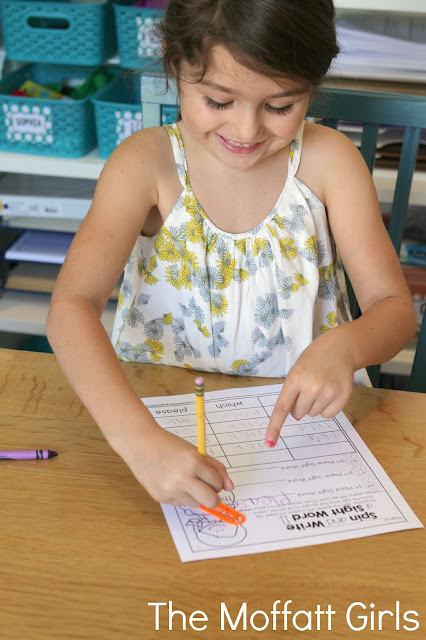 She is an absolute joy to teach and loves learning! The pages in the 1st Grade packet will cover grade level skills with a lot of fun and hands-on pages. 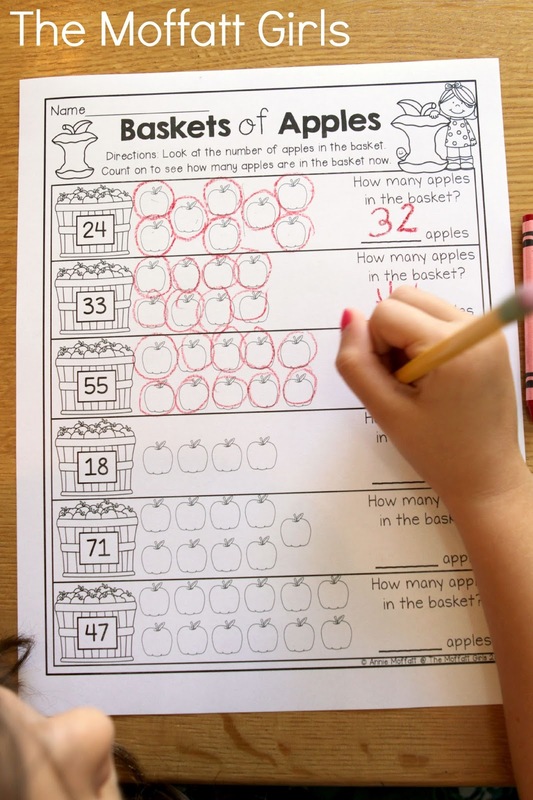 *Basket of Apples- Count on from the given number to find how many are in the set. 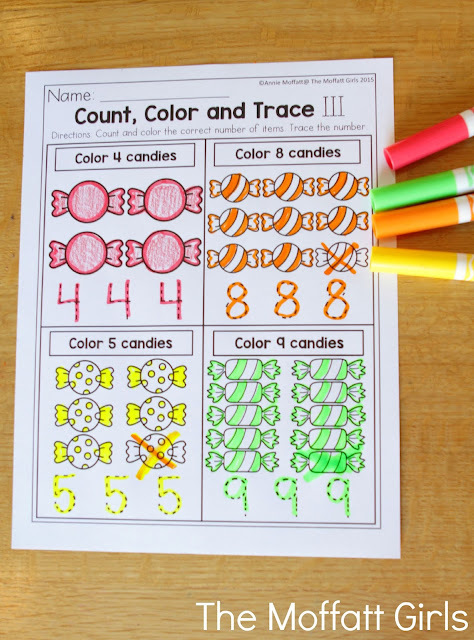 *Count, Draw and Compare Candy Corn- Draw the candy corn to show how many using <, > or =. *1 Less and 1 More – Count the dots on the domino and show 1 less and 1 more. 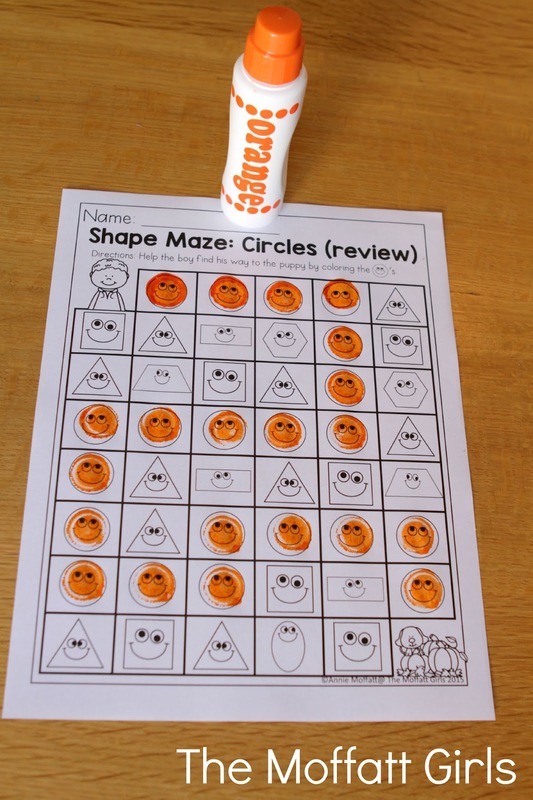 *Counting by 5’s and 10’s – Write the missing numbers from 5-100 on the pumpkins. Count by 10’s and color those pumpkins. *Pumpkins for Sale- Color according to the code, less than 50 and more than 50. *Piles of Pumpkins – Put the numbers in order from least to greatest. *Missing Pumpkin Numbers- Write the missing numbers (before, after and in-between). 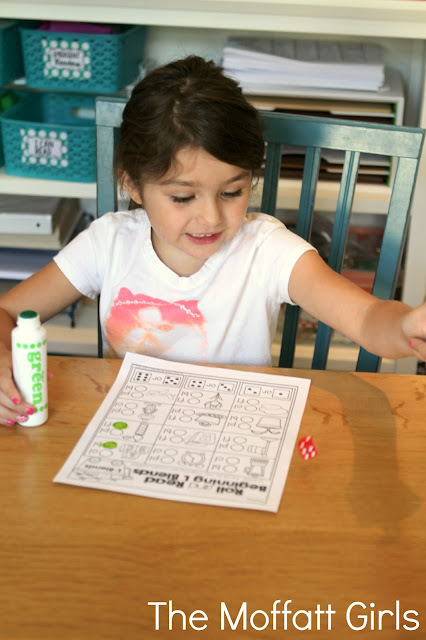 *Roll, Add and Color I – Roll 2 dice, add them up and color the picture. 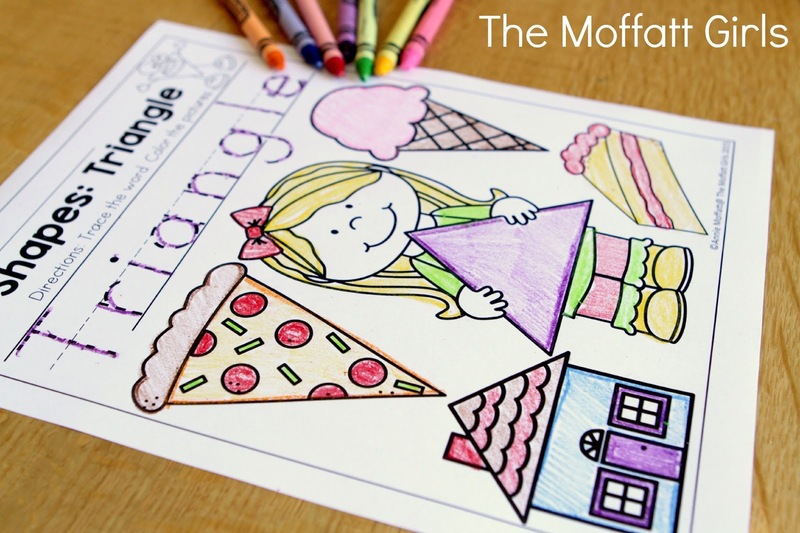 *Roll, Add and Color II – Roll 2 dice, add them up and color the picture. *Let’s Get to 100- Fill in the numbers from 1-100. Use the color code to color by 2’s, 5’s and 10’s. 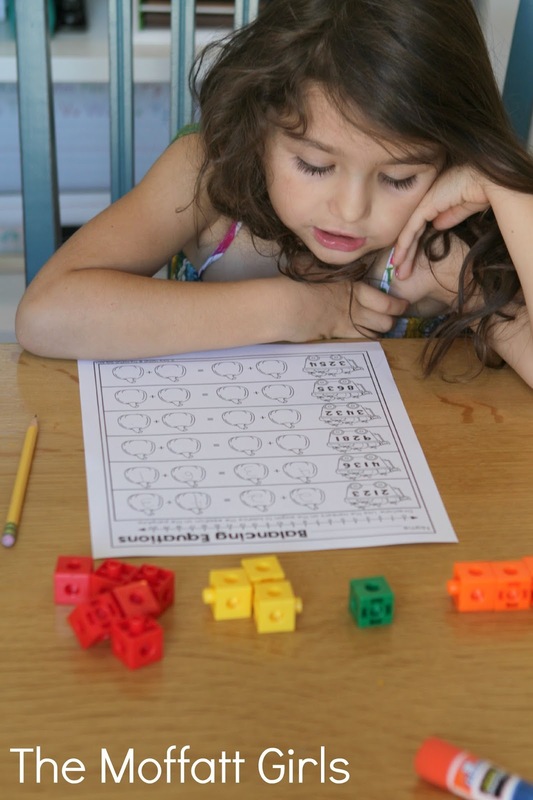 *Base Ten Place Value- Count the base ten rods and units. Write how many tens, ones and total for each set. 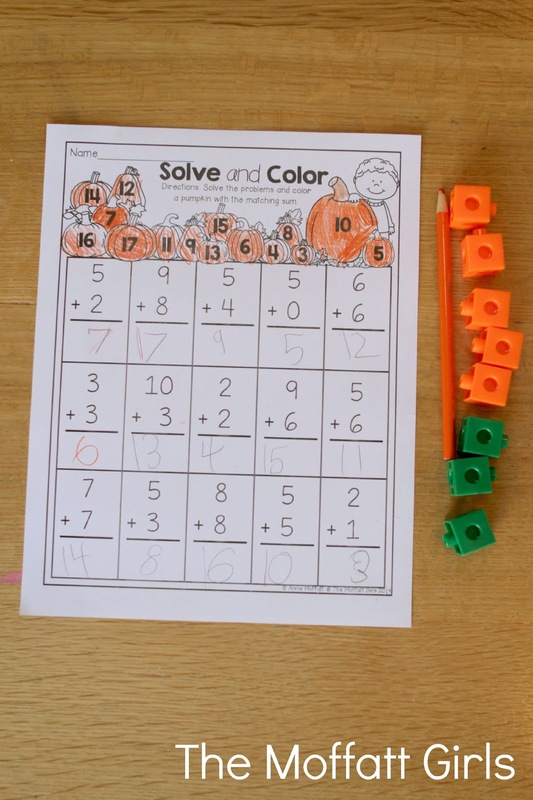 *Solve and Color- Solve the problems and color the pumpkins with the matching sum. 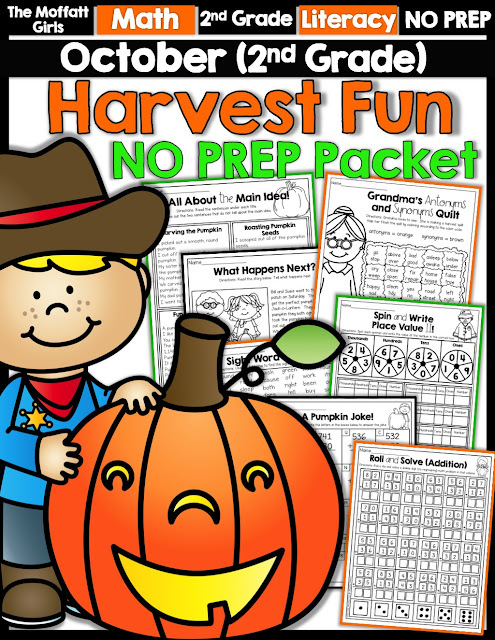 *Piles of Pumpkins (True or False) – Cut and paste the equations to the correct wagon. 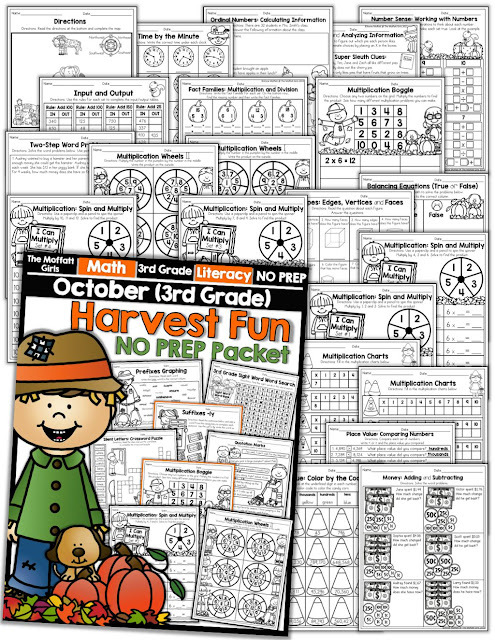 *Adding Up Pumpkins – Find the sum for each wagon, cut and paste to match the pumpkin. *Candy Corn Addends – Fill in the missing addend for each set of candy corn. Use the number line to help if needed. 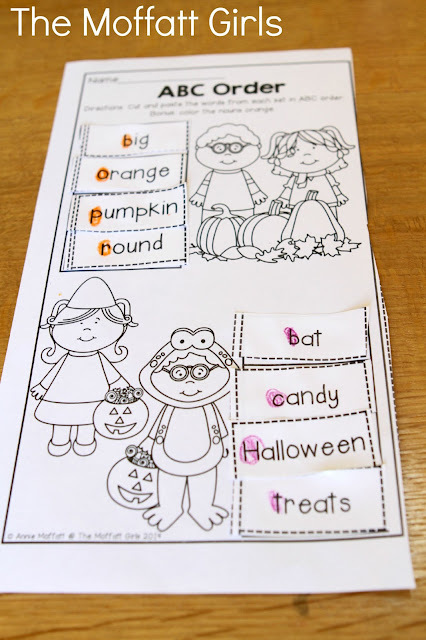 *Pumpkin Number Bonds – Cut and paste to make a number bond. 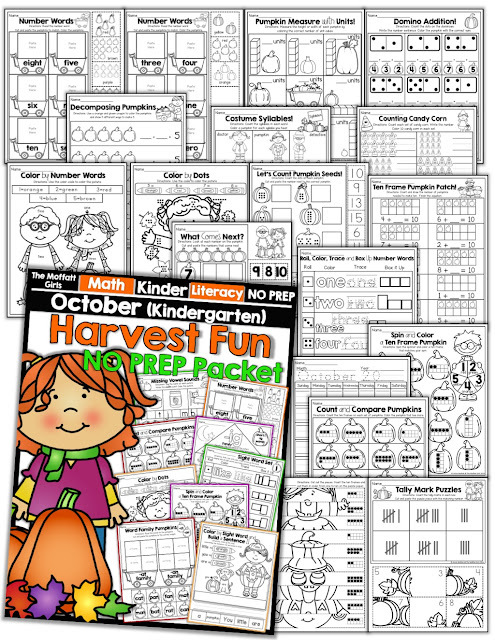 *Pumpkin Patch to 20 – Count the numbers on the ten frame. 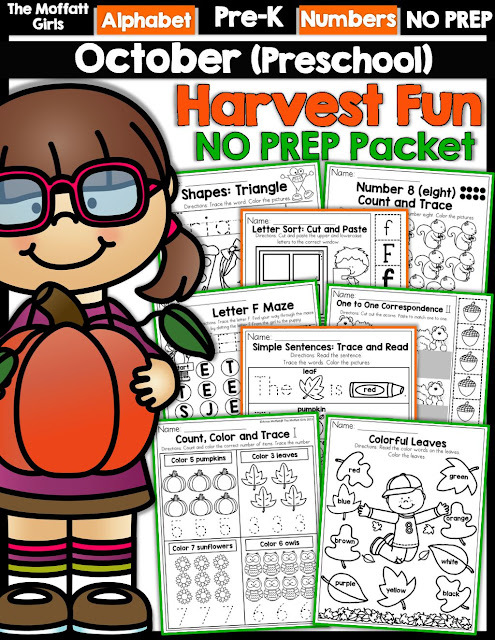 Write an equation, cut and paste the pumpkins to match. 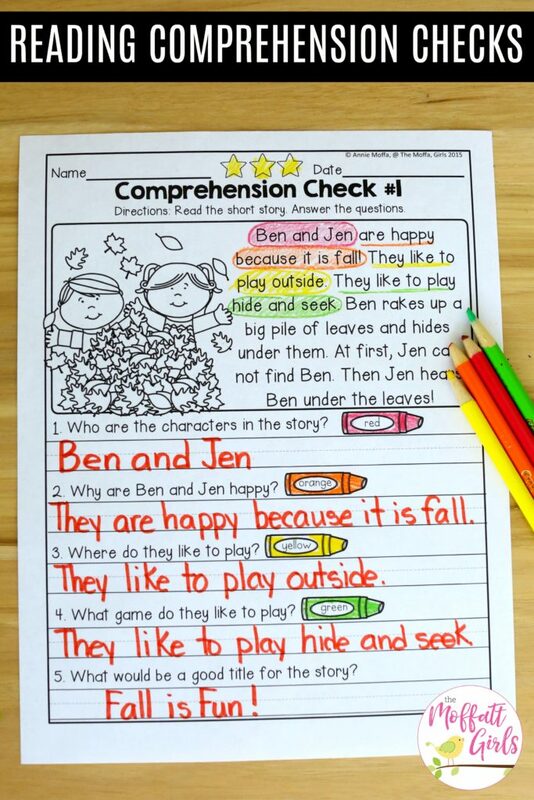 *Word Problems- Read, draw a picture, use tally marks and write an equation. 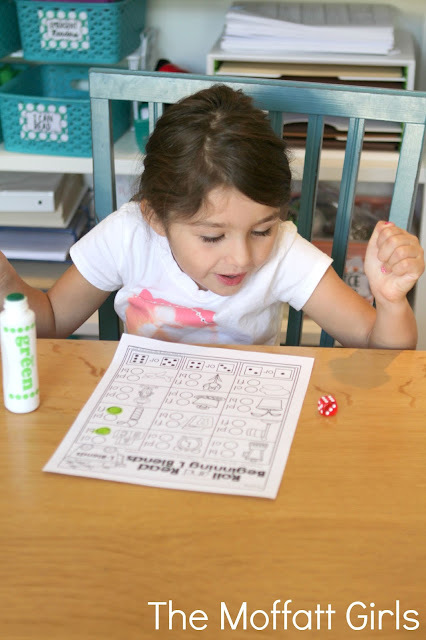 *Roll and Write a Rhyming Word- Roll a die and write a word the rhymes in the correct box (cvc review). 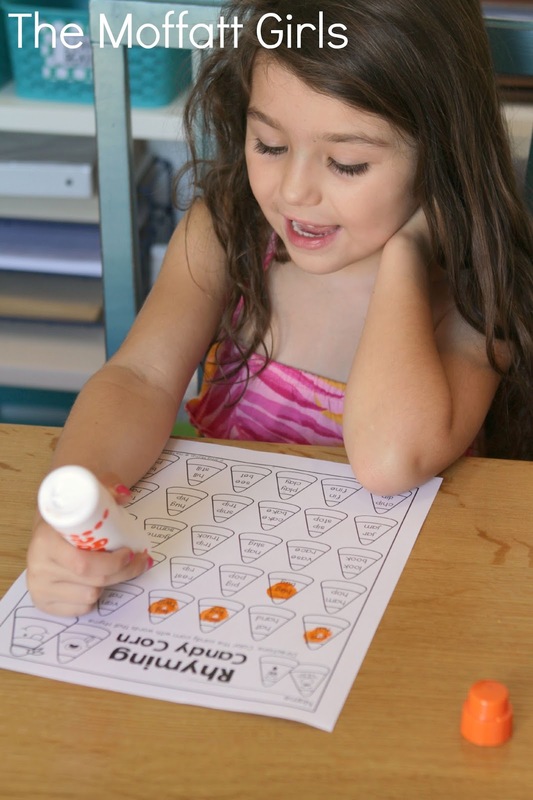 *Spin and Color a Number – Spin the spinner, find the number word that matches the spin and color the candy corn to match the color word. 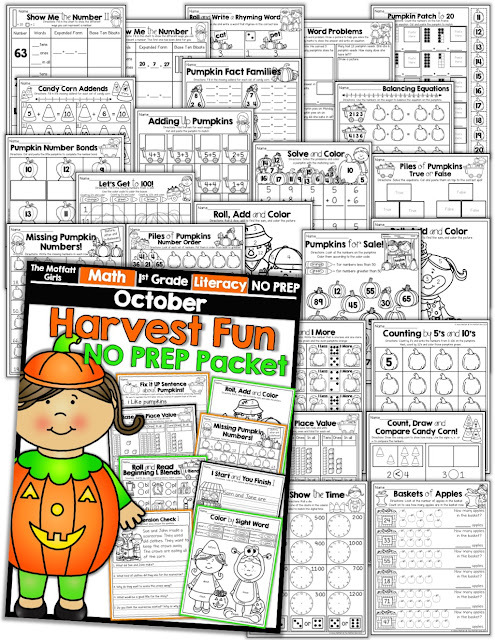 *Place Value Candy Corn – Use the color code to color the candy corn according to the place value (tens and ones). 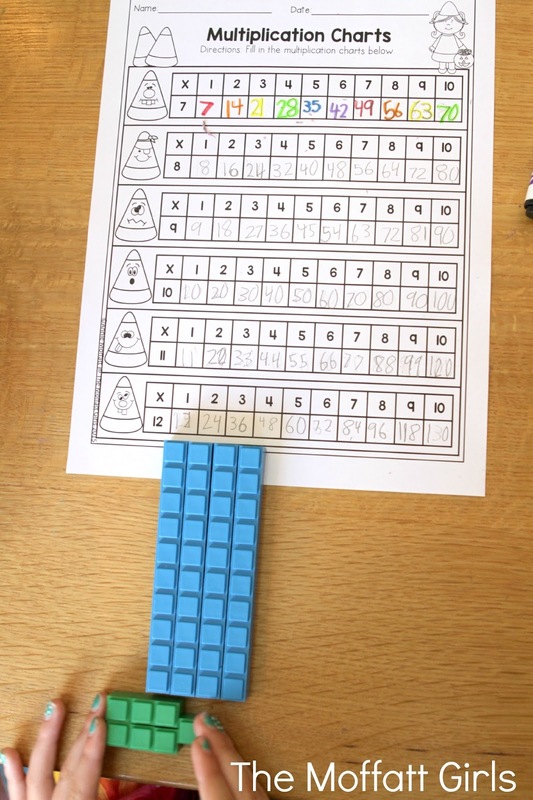 *Roll and Show the Time – roll a die, draw hands one of the clock in the column to match the digital time. 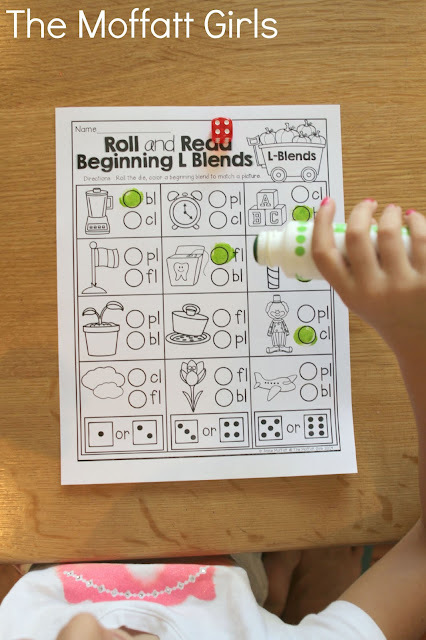 *Roll and Read Beginning L-Blends- Roll the die, color the beginning blend to match the picture. 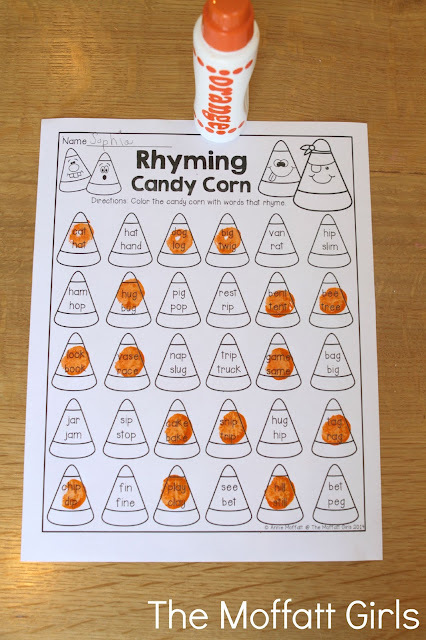 *Rhyming Candy Corn- Color the candy corn with words that rhyme. *Describing Candy Corn – Use adjectives to describe the faces on the candy corn. Write a sentence using one or more of the adjectives. *Picking out Pumpkins -An Adjective or a Noun? – Read the words on the pumpkin. 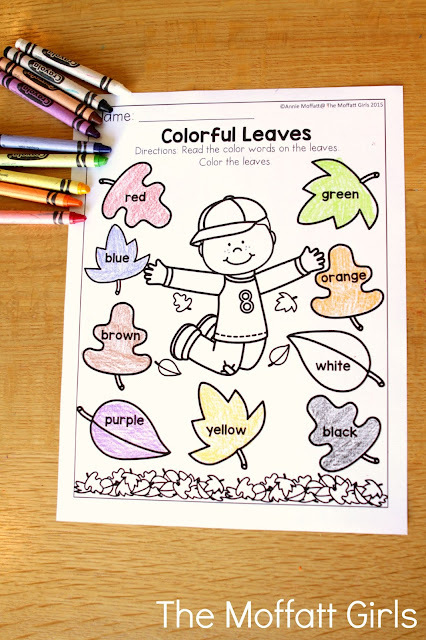 Color the adjectives and nouns according to the color code. Write 2 sentences. 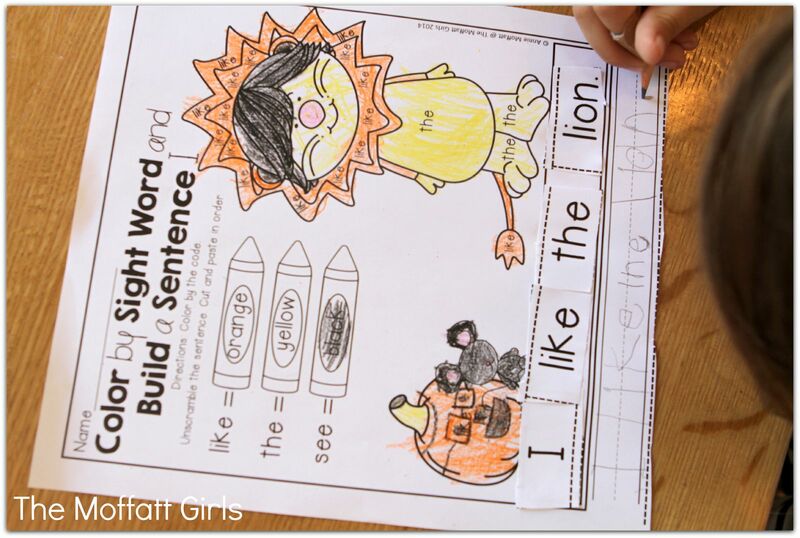 *Fix it Up Sentences About Pumpkins- Edit the sentences. 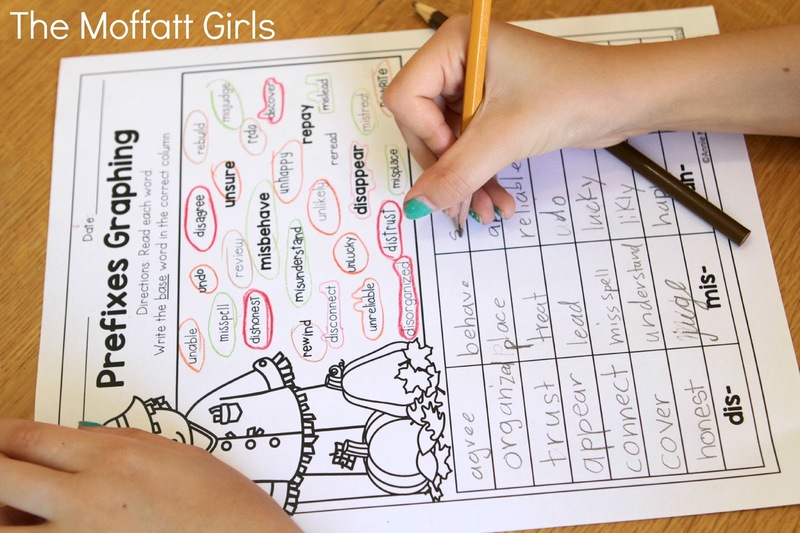 *Scrambled up Sentences – Unscramble the sentence to make a complete sentence. Write the sentence on the line. 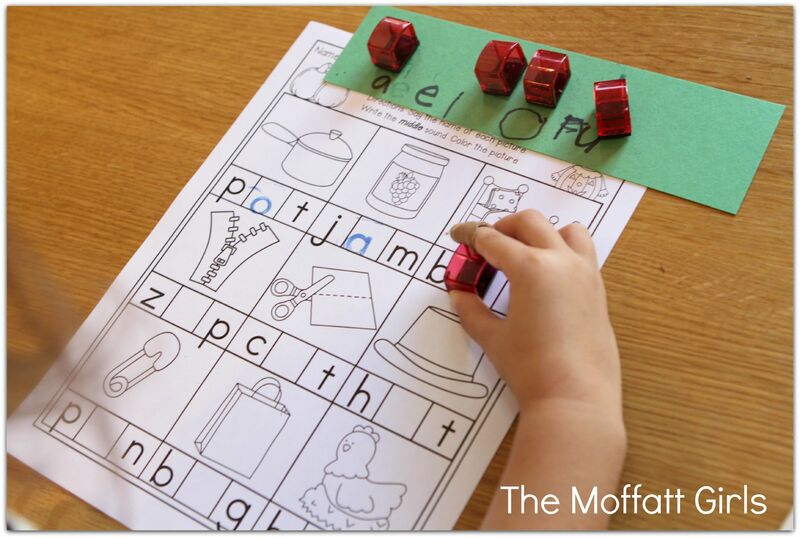 *Roll a Rhyme (short vowel)- Roll a die and write a word that rhymes word a word in the column. *Life Cycle of a Pumpkin (cut and paste) – Cut and paste the life cycle in order. Write about what happens to the pumpkin. 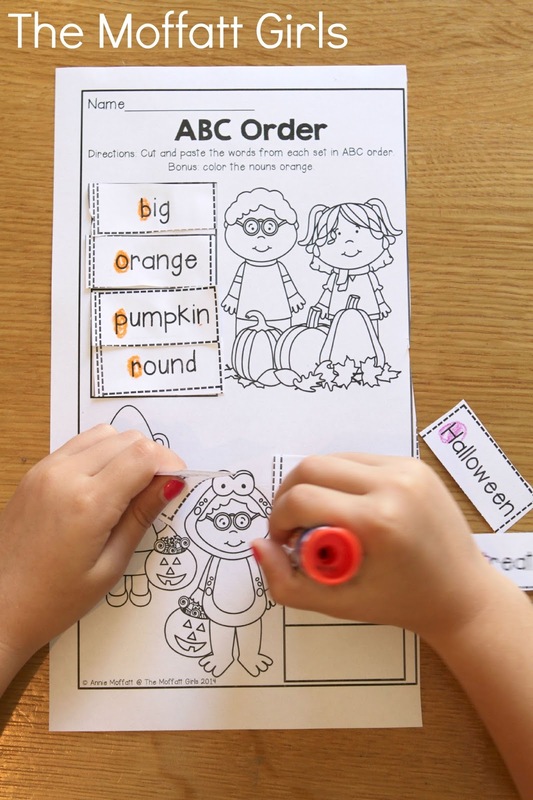 *ABC Order – Cut and paste the words from each set in ABC order. *I Start and You Finish I – Look at the picture. Read the beginning and finish the sentence. *I Start and You Finish II – Look at the picture. Read the beginning and finish the sentence. *Color by Sight Word- Use the color code to color the picture with 1st Grade sight words. *Spin and Write a sight Word I – Spin the spinner, write the sight words that you spun in the correct column. 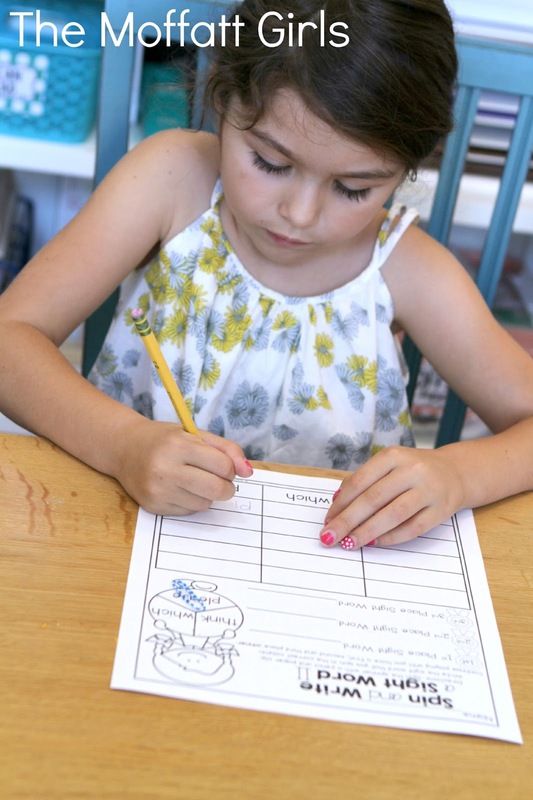 *Spin and Write a sight Word II – Spin the spinner, write the sight words that you spun in the correct column. *Nouns and Verbs – Cut and paste the nouns and verbs into the correct spots. 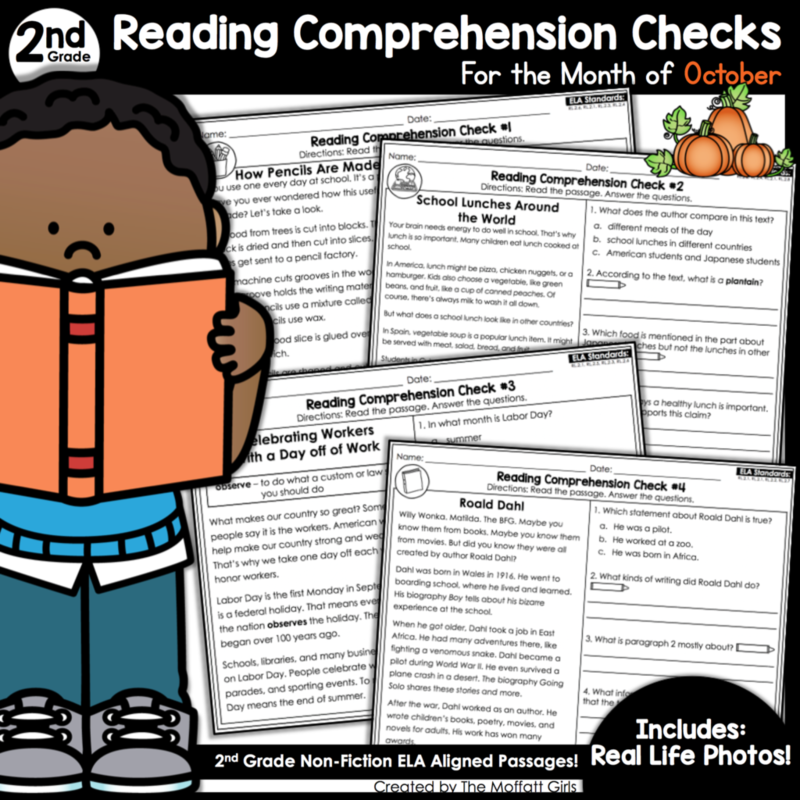 *Comprehension Check I – Read the short story and answer the comprehension questions. 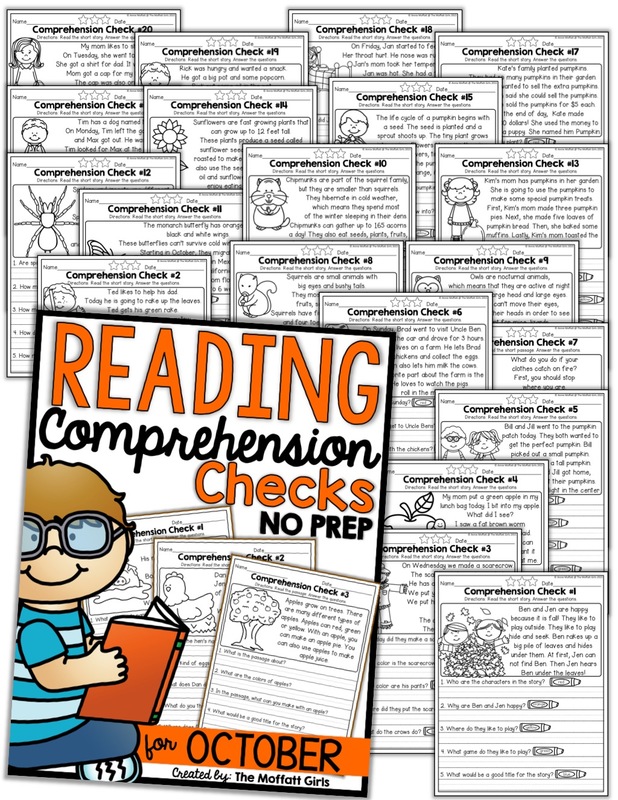 *Comprehension Check II – Read the short story and answer the comprehension questions. 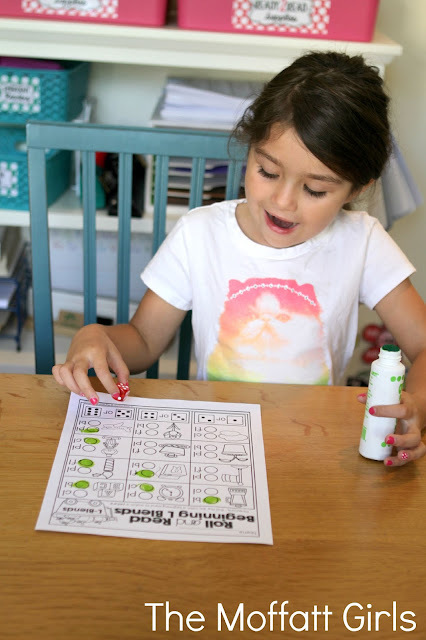 Roll a die and dot mark the correct beginning blend for each picture. She likes to see which column will be the 1st place winner. 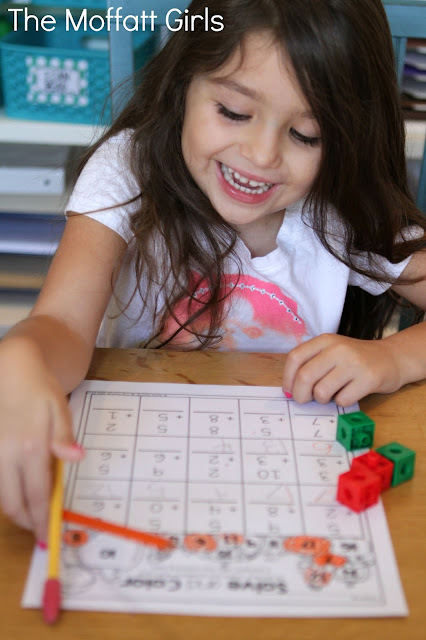 Whenever you can make learning into a game, kids get excited! 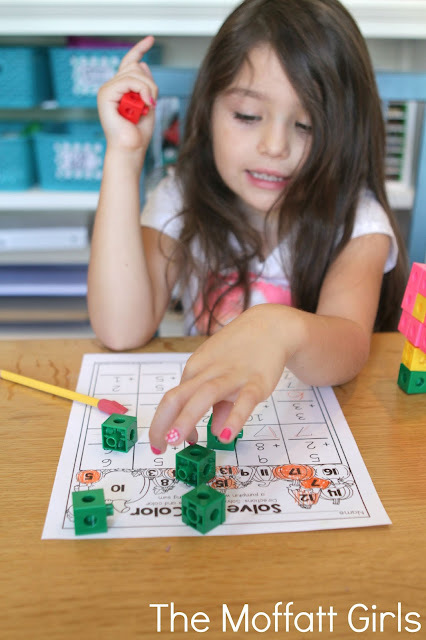 Whenever we do math activities, I always try to pull out some sort of manipulative to help her “see” numbers in a visual way. This time we used our linking cubes to add the two numbers. We are doing pretty well with adding up to 10, but larger numbers require manipulatives. After adding each set, she colors a pumpkin to match the sum. A lot of hard work and a lot of fun learning! We especially worked on the “counting on” strategy. We used the cubes to count on from a given number. 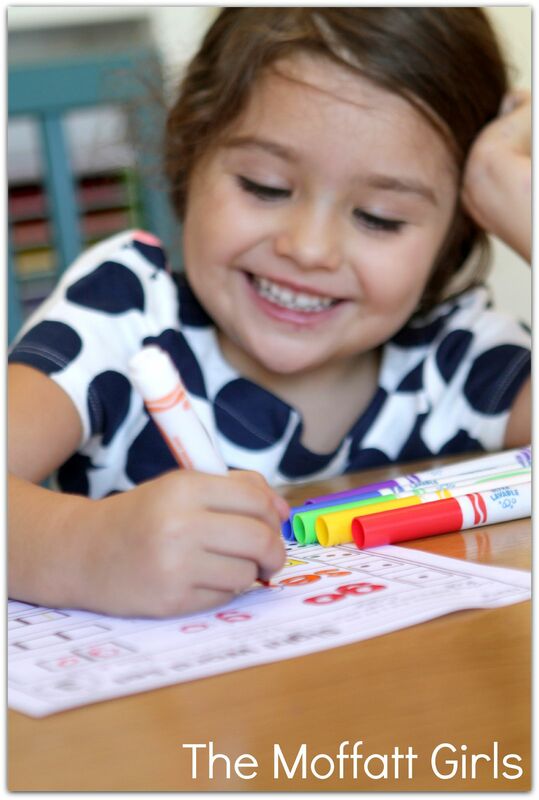 Whenever we pull out crayons and a “coloring page,” everyone is happy! This is a great way to practice sight word recognition. Read the two words on the candy corn and dot mark the ones that rhyme. 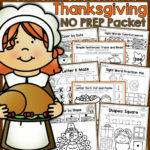 This pages works with simple CVC words, CVCe words and a few beginning blends and digraphs. This was the perfect challenge because it required us to read carefully. I didn’t realize this simple pages would be such a huge hit, but it was! 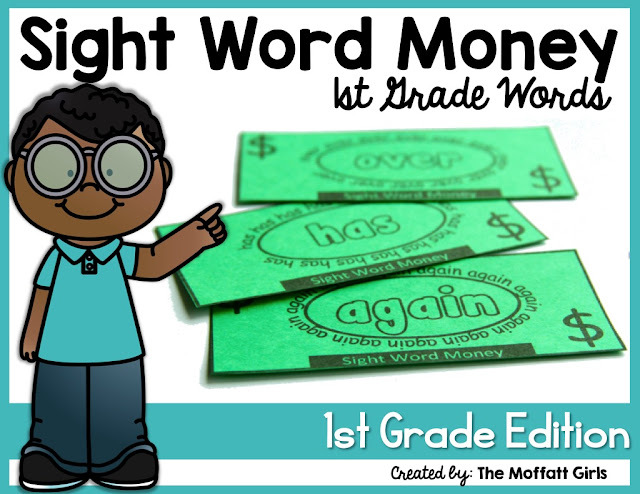 I included only 4 words for each set to keep the learning at the right level, without being too frustrating. 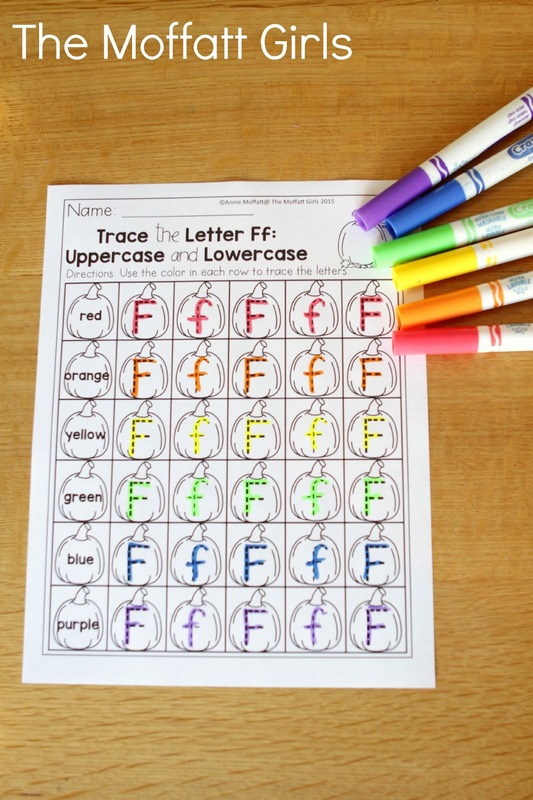 We started off my coloring the first letter in each word to help focus on the rules for putting words in ABC order. She sang her ABC’s and pasted the words correctly. Again, we pulled out our math manipulative to help “see” how two equations are balanced. 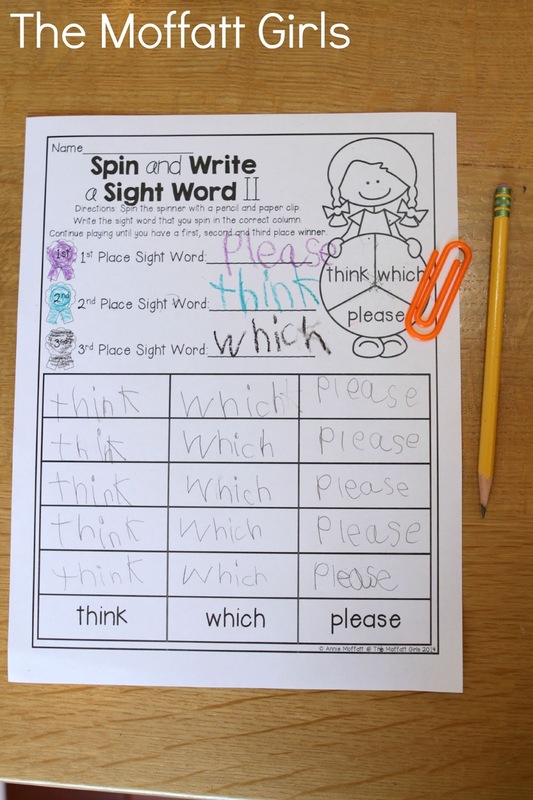 Spin the paperclip spinner and write the sight word. 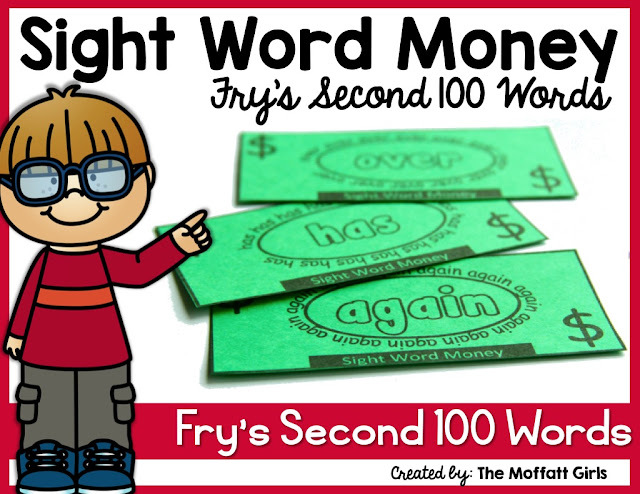 Race to the top and see which sight word will win first place! I pulled out our extra large plastic paperclip, which made the spinner a bit easier. I picked these up at my local office supply store. 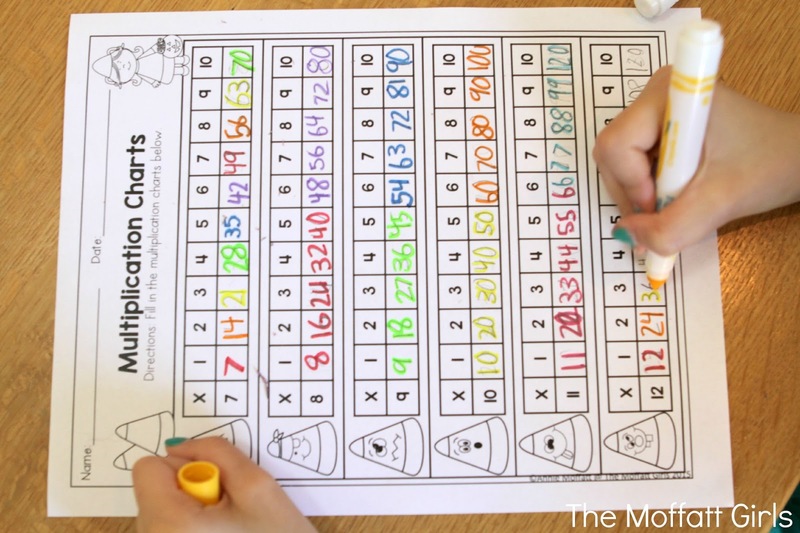 This was a great way to practice counting on with larger numbers. 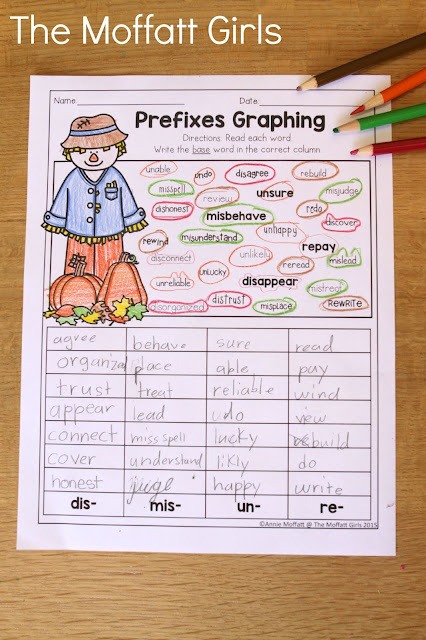 *Grandma’s Antonyms and Synonyms Harvest Quilt (color by the code). *Double the Fun – Double the consonant and write either ed or ing at the end of the word. 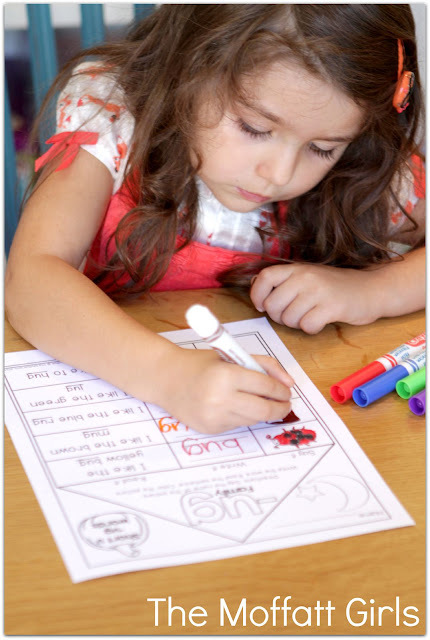 *Easy as ABC – Write the list of words in ABC order and write sentences. *I Can Fall-O Directions -Follow directions and add to the picture. *Sequencing Events – Read the short story and put the events in order. *What Happens Next? Read the story and make a prediction as to what will happen next. *What Happens Next? (Story number 2)Read the story and make a prediction as to what will happen next. *What will Happen Next? Read the sentences and write two different things that could happen. *Harvest Time ) Look at the foods (write words in the columns to describe what they look like, how they taste, how they smell and how they feel. 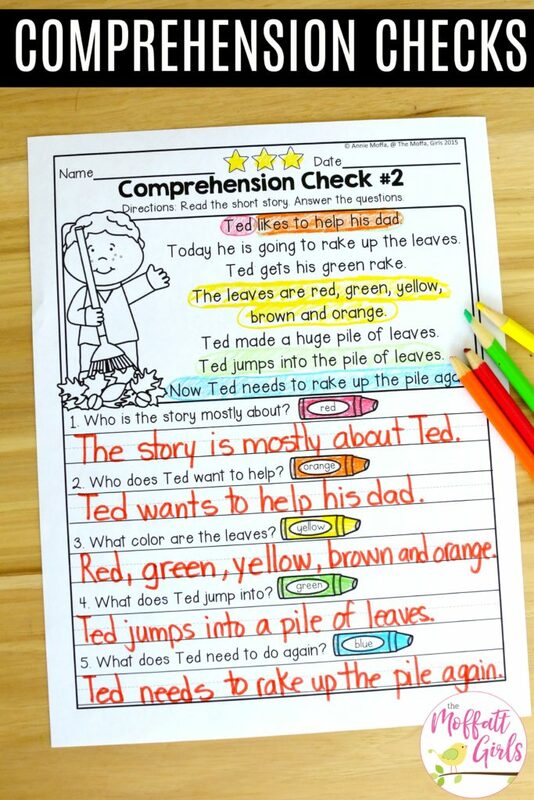 *Combining Sentences (Read the simple sentence and rewrite/combine them. 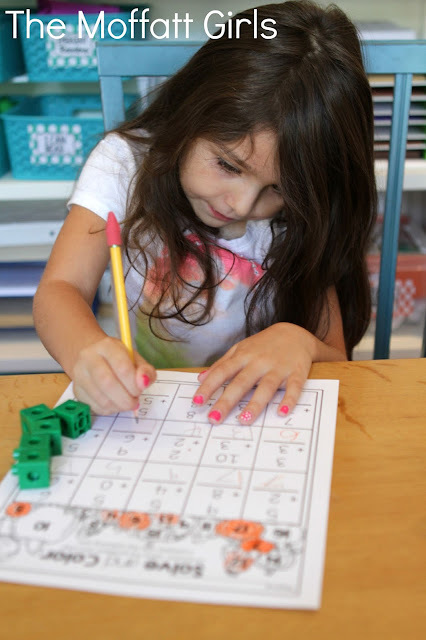 *Spin and Write Place Value I- Spin the hundreds, tens and ones to make and write a number. 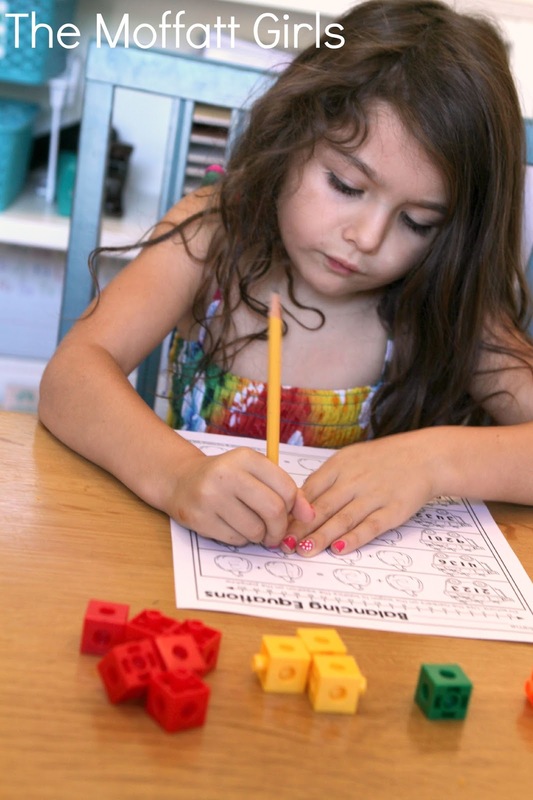 *Spin and Write Place Value II- Spin and thousands, hundreds, tens and ones to make and write a number. *Skip Counting in the Hundreds – Skip count by 2’s with each set of numbers in the hundreds. *Pumpkin Patch Regrouping – Add 2 and 1 digit numbers for simple regrouping. *How much does the pumpkin cost? Count the coins to find out how much each pumpkin cost. 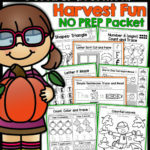 *Shopping for Pumpkins – Answer the questions (compare, add and subtraction) to find the cost of each pumpkin. 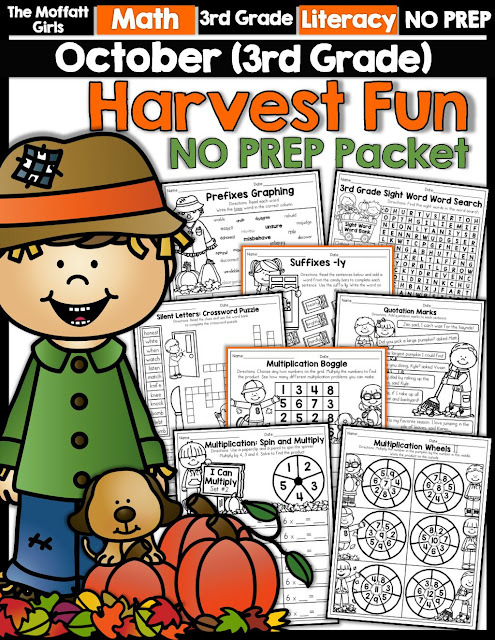 *A pumpkin Joke – Add two digits to a three digit number with no regrouping. Use the letters to solve a pumpkin riddle. 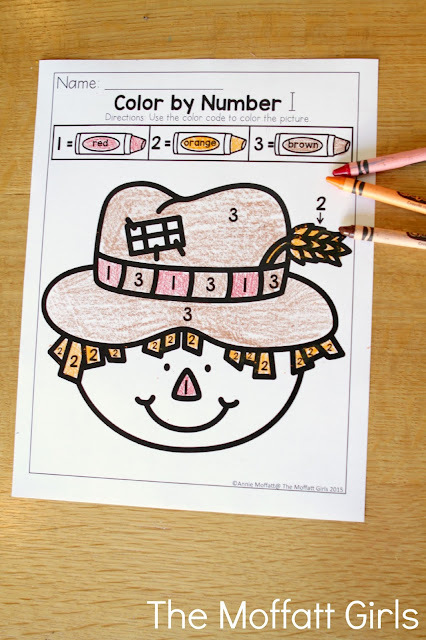 *Missing Candy Corn – Write the missing numbers (up to 100) in each row of candy corn to complete the number line. 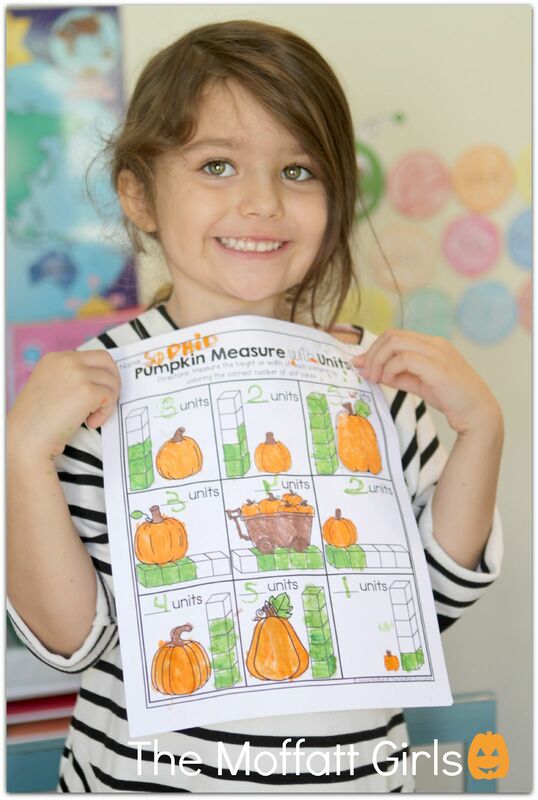 *Pumpkin Comparison- Count the hundreds, tens and ones in each group to write the sign <, >, or =. 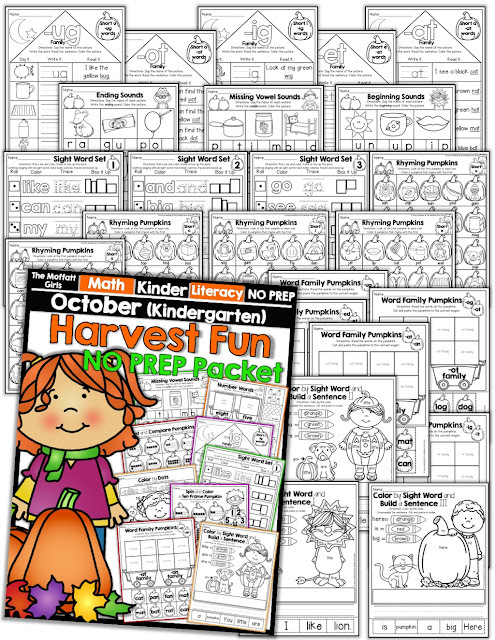 *Compare and Color the Pumpkin – Compare each set of pumpkins with numbers up to 1,000 and color by the code. 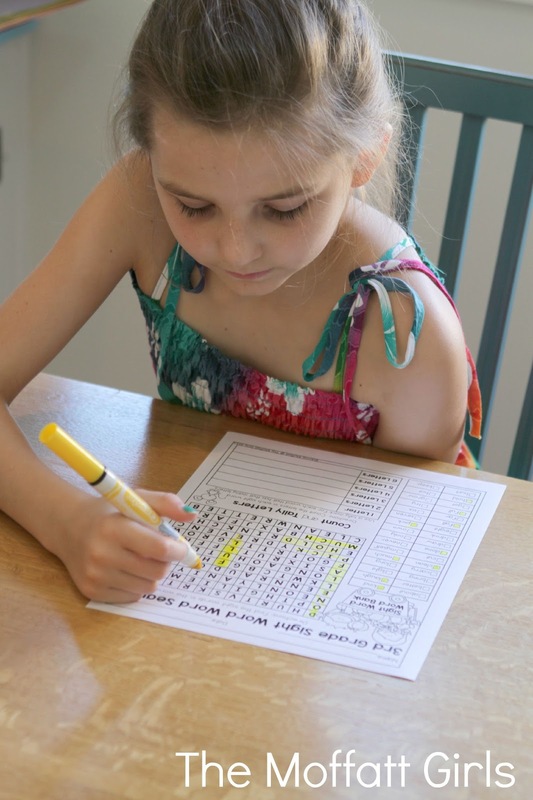 *Tally up Your Seeds – Read the clues to help you complete the tally chart and and answer the questions. *What’s Missing? – Fill in the missing numbers to add three digits to three digits with no regrouping. 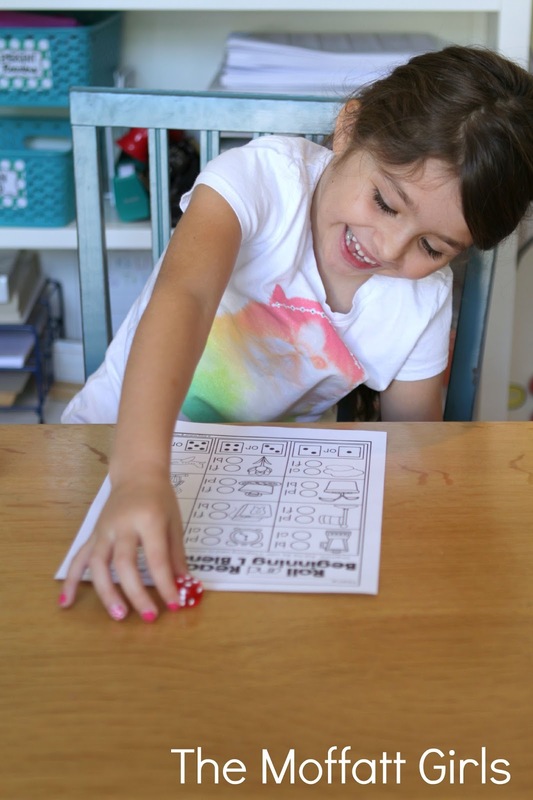 *Roll and Solve – Roll the die and count a set of coins in the column. Write the total. *Ordering Numbers – Put the numbers (in the hundreds) in order from least to greatest. 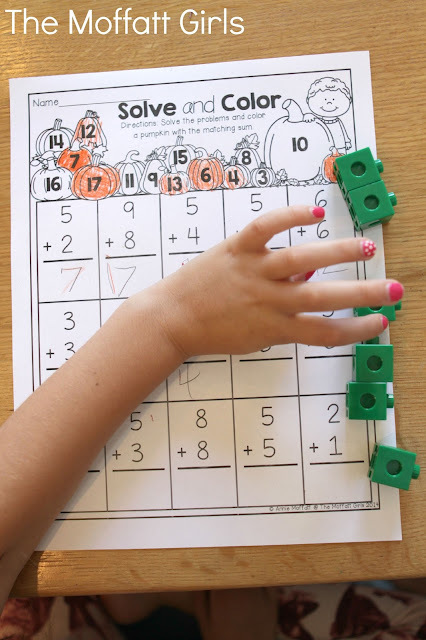 *Roll and Solve (Addition) – Roll a die and solve an addition problem in that column (no regrouping). 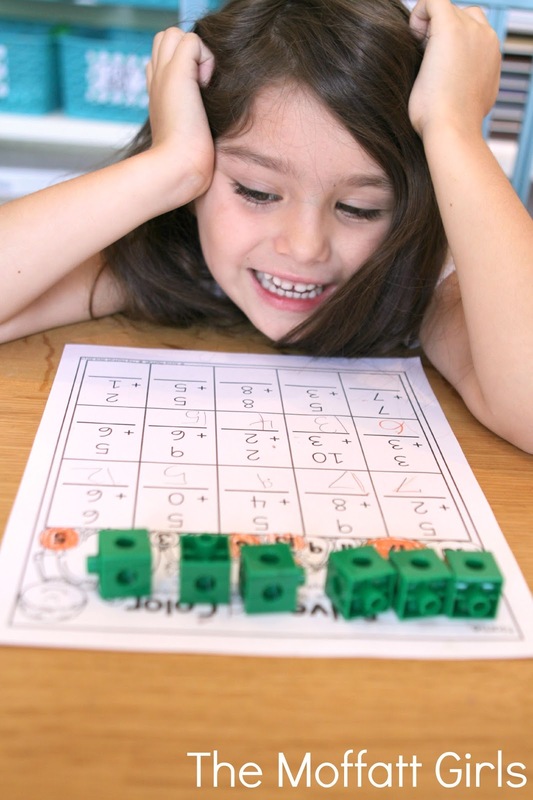 *Roll and Solve (Subtraction) – Roll a die and solve an addition problem in that column (no regrouping). *Greater Than, Less Than and Equal to- Compare each set of numbers, fill in your own set of number to make the sentence true and write the numbers from greatest to least. *Telling Times by 5’s – Read the time on each clock. Write the digital time. *Measuring with Inches – Use the inch ruler to measure each item. *Harvest Shopping – You have a specific amount of money to spend in the store. 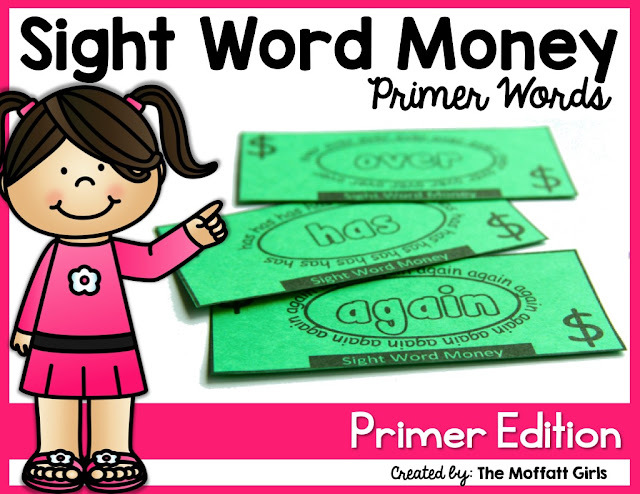 Discover 4 different ways to spend the money and write the items you could buy. 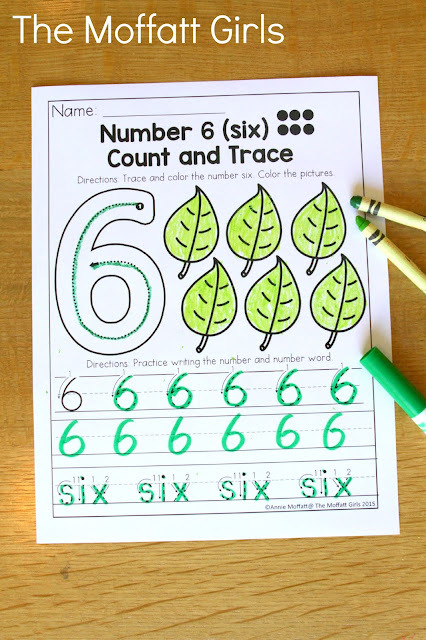 *Number Match Up – Read the number words and match the number. 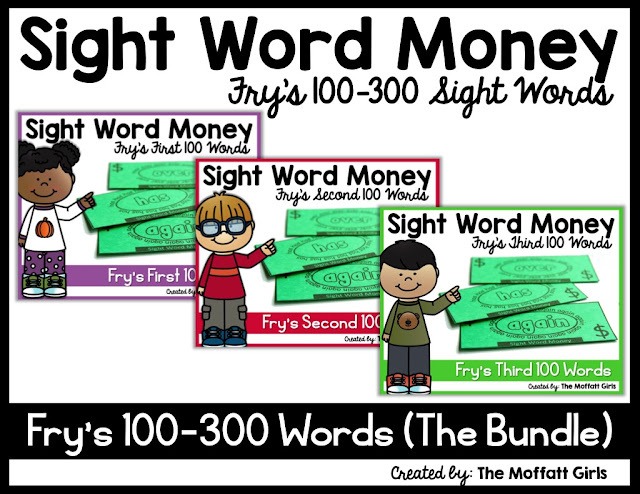 Kids love word searches so why not search for sight words? We started off by filling in our multiplication chart. I noticed that my daughter was having some difficulty with the 12 so we pulled out some base ten manipulatives. We went through the multiplication facts so she could visually see the facts. It worked like a charm and math became more visual. 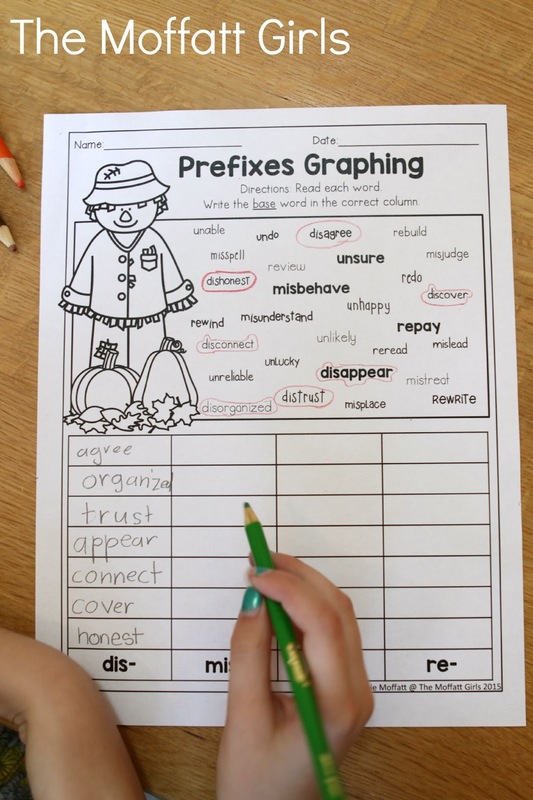 This was a fun way to work with base words and prefixes. Circle and graph the base words according to the prefix.. These Reading Comprehension Checks are something that we work on daily. 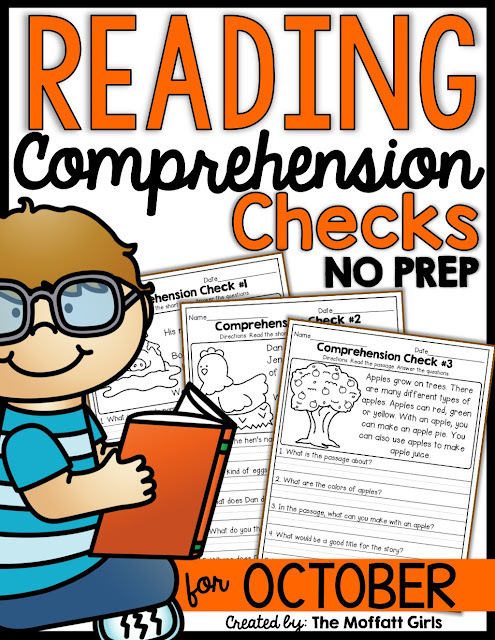 As we continue to use them, we are increasing in comprehension and fluency! 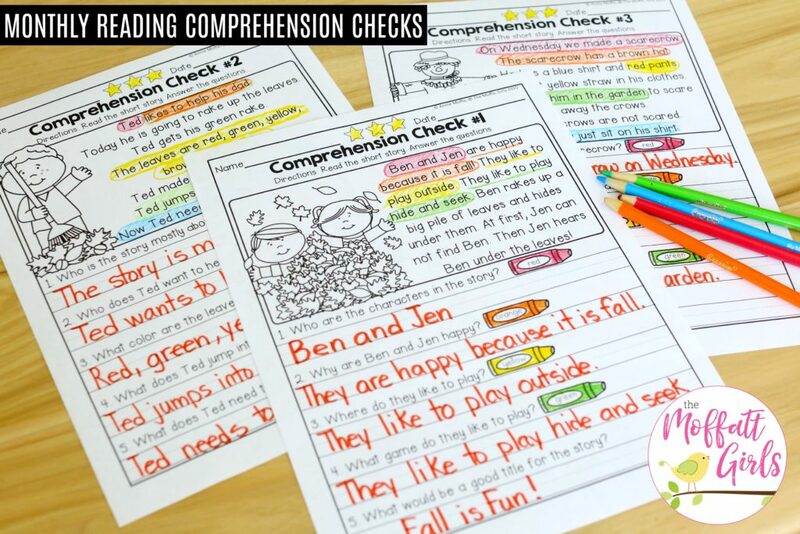 These are an everyday staple to help increase writing fluency! 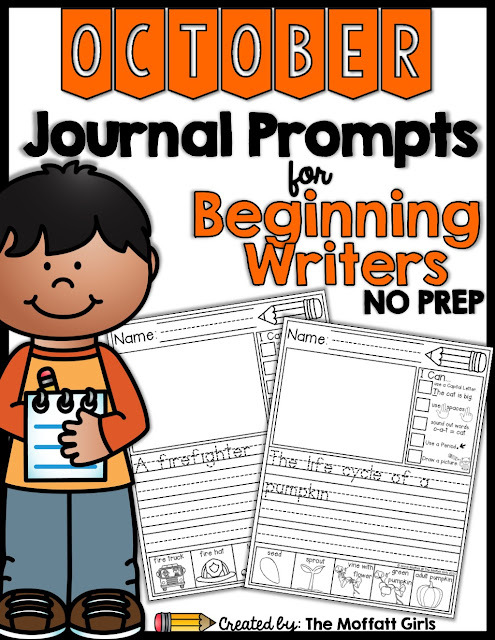 We have had a TON of success with our daly Journal Prompts! 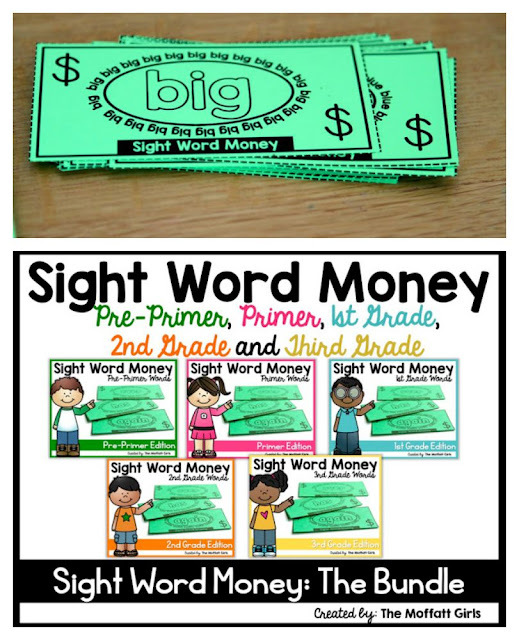 We have always loved using our Sight Word Money and I recently added a few packets with some updates! 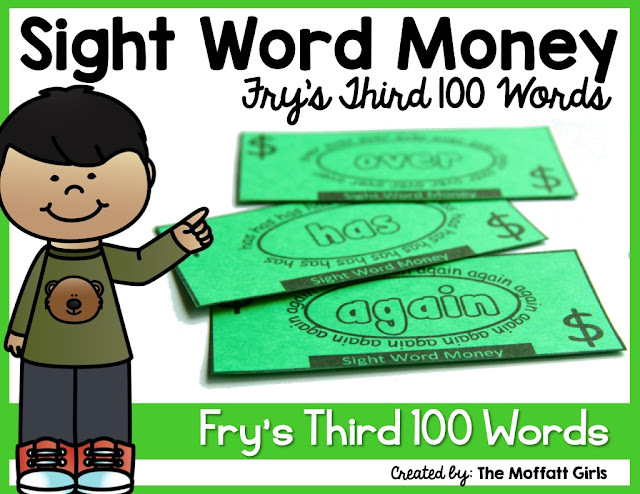 I printed our Sight Word Money on green colored card stock. 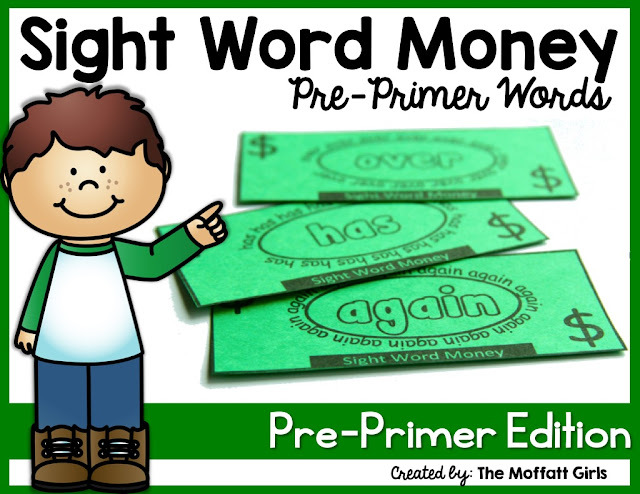 I started off by printing the pre-primer, primer and 1st Grade set for my 1st Grade. We read through all of the words so quickly and she was eager to master the ones she didn’t know. 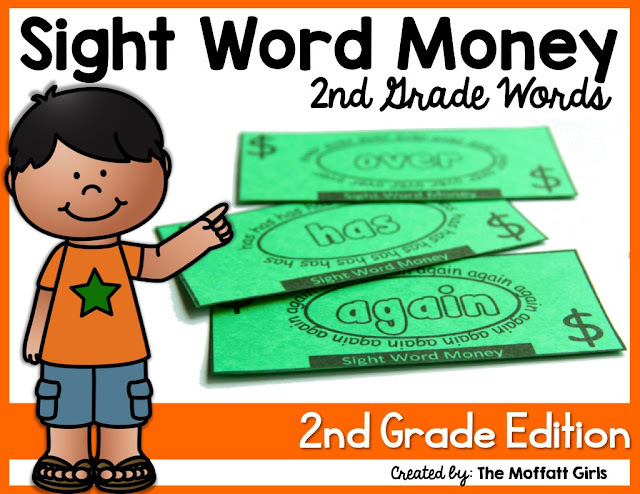 Now I am happy to say that we are getting ready to learn the 2nd and 3rd grade words! I had originally planned to put little prizes in the treasure box so she could cash in her sight word bucks for a prize. However, I didn’t need to do that at all! She decided she wanted to store her sight word money in the box. 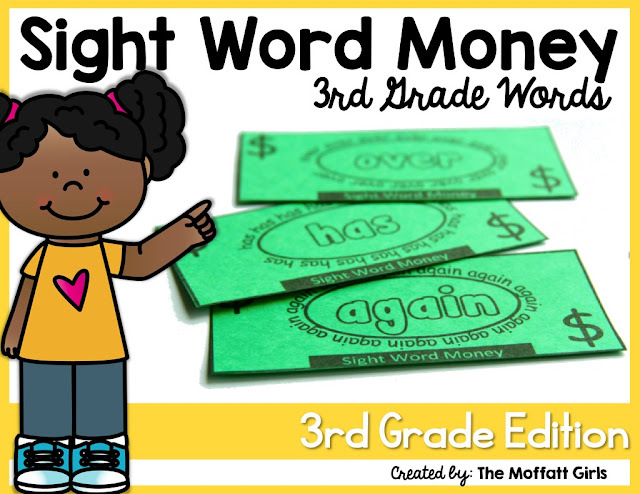 If she successfully read the sight word, she was able to keep the sight word dollar. 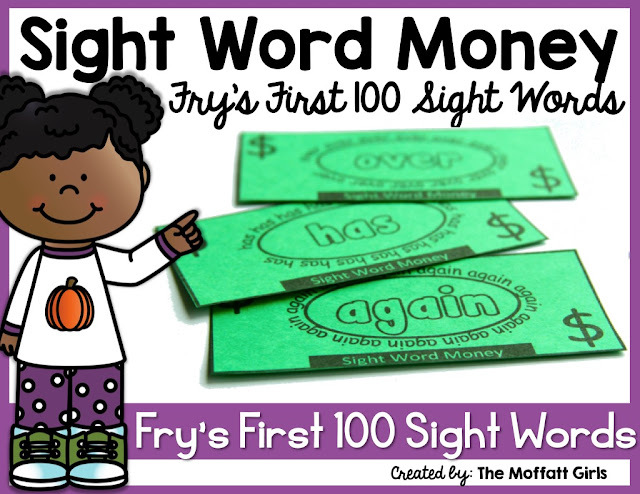 I was thrilled because she was self motivated and wanted to collect as many sight word dollars as possible! 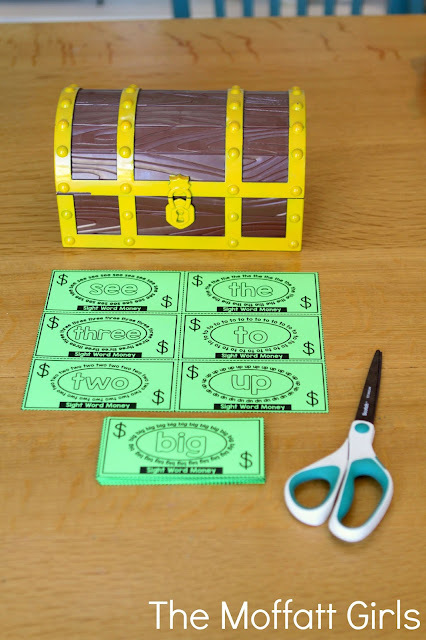 I hope that these resources help make learning FUN, engaging and hands-on this year!